Transporting a family is hard work at the best of times, but trying to do it on a budget is even tougher. Fortuntely, trying to be fiscally responsible doesn’t mean you have to compromise on a new car – as these 12 choices demonstrate. 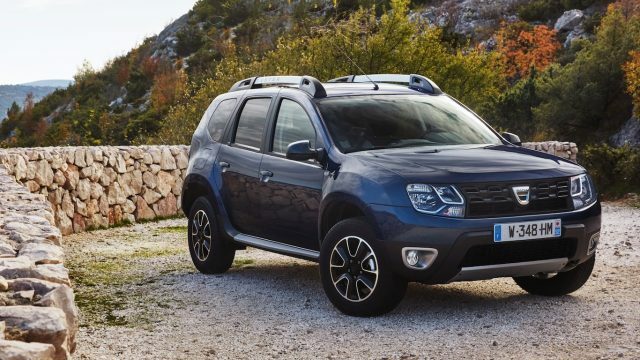 As one of the cheapest cars on sale in the UK, the Dacia Duster is perfect for embracing automotive austerity. There’s genuine off-road ability and its looks are pleasingly utilitarian, rather than needlessly overstyled. The interior is equally spartan, but it means you can let kids and dogs go wild, and fill the 451 litres of boot space without concern. The Access model is priced from £9,495, and really is budget motoring: a radio is not even standard. You’ll have to adjust your wing mirrors manually, but at least the windows are operated electrically. 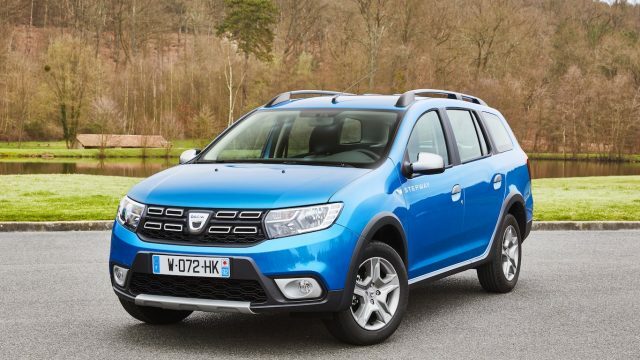 Move further up the range and you’ll get sat nav and air conditioning included, but the Duster makes the most sense bought as cheaply as possible. The regular Dacia Logan MCV is a cheap and cheerful compact estate, but moving up to the Stepway version adds extra glamour with off-road-ready bodywork. Think of this as a very cut-price alternative to the Audi A4 Allroad or Volvo V60 Cross Country. Although with 1,518 litres of boot space with the seats down, the MCV Stepway is actually more practical than those premium machines. With a starting price of £11,495, the Logan MCV Stepway might seem pricey for a Dacia, but you do gain a more substantial level of specification. Parking sensors, air conditioning and even satellite navigation come as part of the deal in Laureate trim, while there is a choice of petrol or diesel engines. 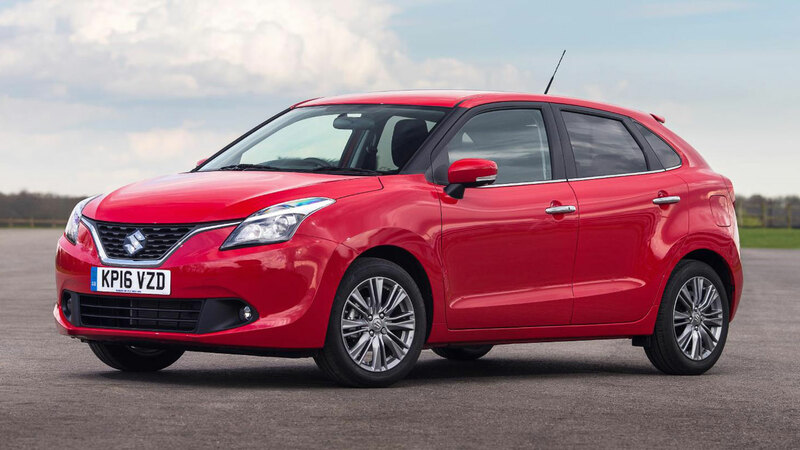 Created as a larger alternative for buyers who have outgrown the Swift supermini, the Baleno offers up a decent combination of price and practicality. It’s big on interior space, with plenty of room for those up-front and for rear passengers. The boot can also hold 320 litres of luggage: on par with the bigger Ford Focus. 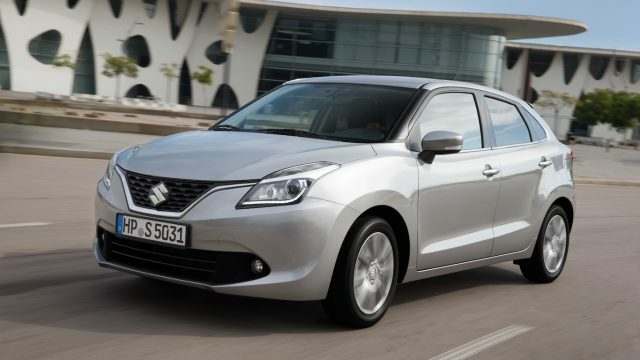 Suzuki offers a comprehensive standard specification across the Baleno range, with even the £11,999 entry-level SZ3 packed full of features: DAB radio, air conditioning, automatic headlights and even a leather-covered steering wheel are all there. SZ3 trim means you only get the 1.2-litre petrol engine, though. 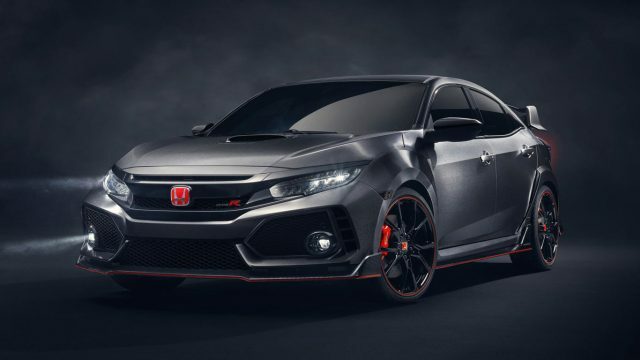 You’ll need to spend an extra £2,000 to get your hands on the superb 1.0-litre turbocharged Boosterjet engine. 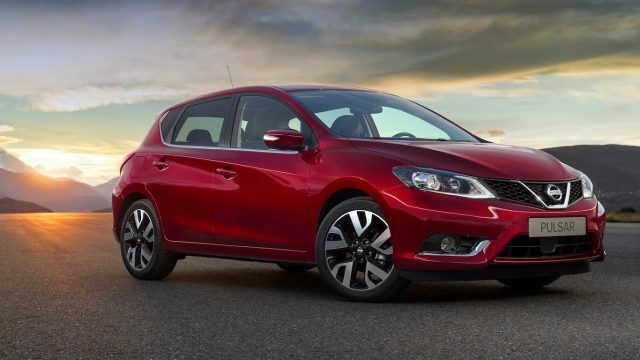 While the Juke and Qashqai crossovers take all the Nissan limelight, the hatchback Pulsar is left in the shadows. 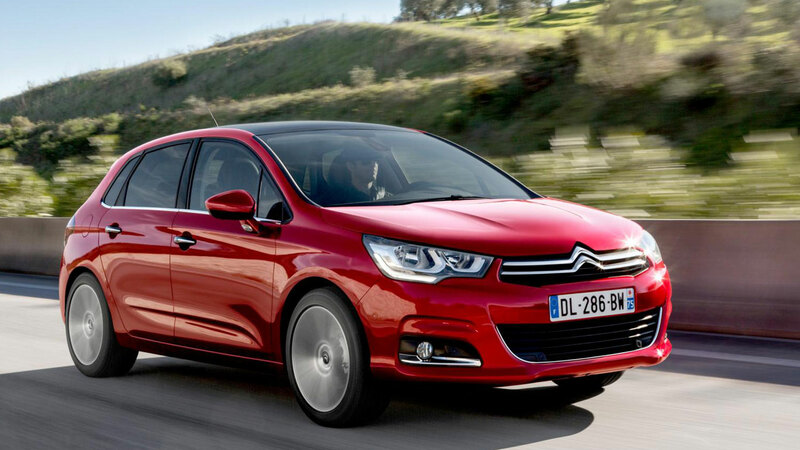 This is a conventional family hatch in the truest sense of the word, bringing nothing revolutionary to the segment. That doesn’t have to be a bad thing, though – especially if you happen to have children with rather long legs. Yes, the Pulsar has the largest amount of rear legroom in the entire C-segment hatchback class: enough to shame much bigger cars. It’s also competitive in terms of boot space, beating the omnipresent Volkswagen Golf with 385 litres. 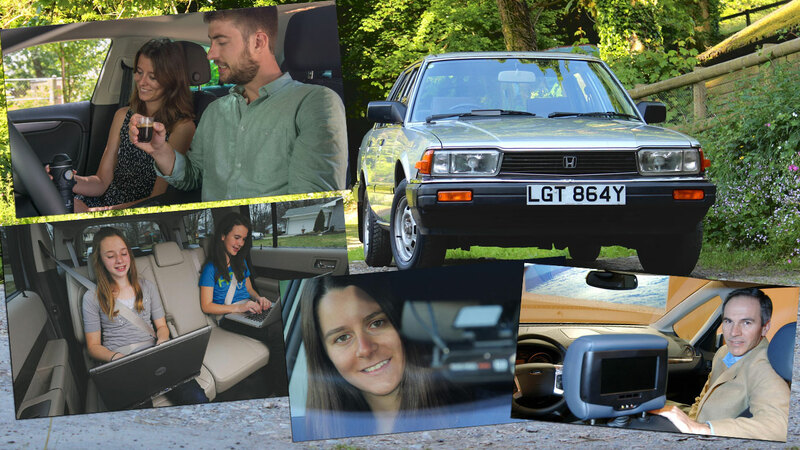 The cheapest 1.2-litre turbo Visia model includes air conditioning, cruise control, and Bluetooth connectivity, all for the bargain price of £13,275. Proof that family motoring on a shoestring doesn’t have to be dull, the styling of the C4 Cactus is divisive, but undoubtedly quirky. Yet it is also practical, with the trademark Airbumps helping protect the bodywork from errant car doors and shopping trolleys. Drivers benefit from the commanding view created by the raised ride height, although rear passengers have to contend with windows that only pop open. 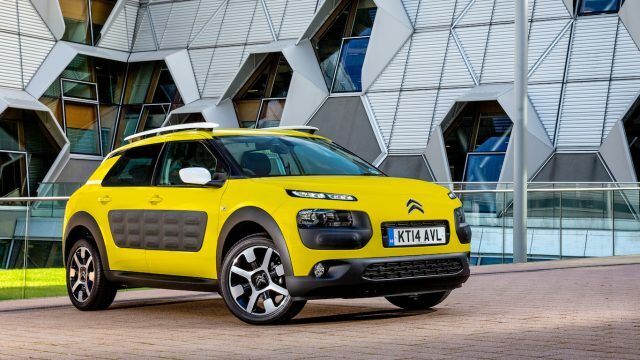 Stylish utilitarianism is the name of the game with the C4 Cactus, with a standard touchscreen display controlling almost all functions and cutting the dashboard button count down to virtually zero. Entry-level Touch models are rather sparse on kit, but do at least gain electric front windows, DAB radio, and cruise control as standard. 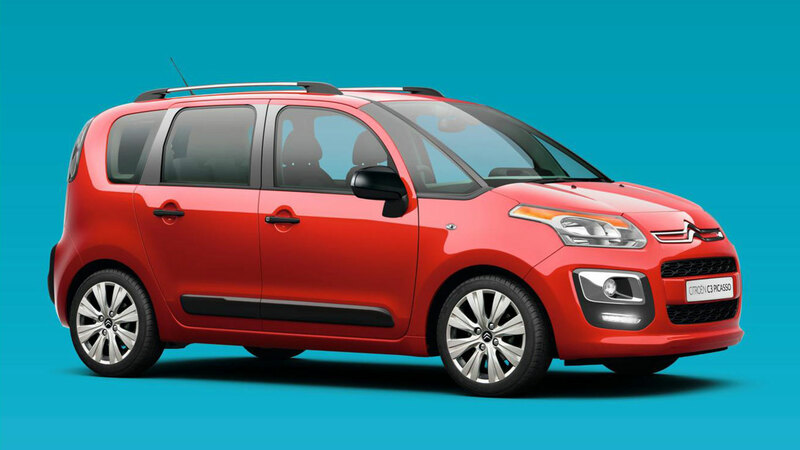 Air conditioning isn’t even optional on Touch trim – worth bearing in mind given those pop-out rear windows. Forget the Vitara from the late 1980s and early 1990s. There are no ultra-wide bodykits or rhino-branded spare wheel covers here. 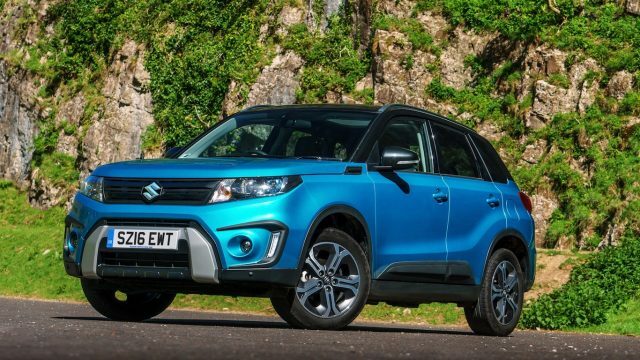 Today the Vitara is a family-friendly compact SUV, with a practical interior and a driving experience far more fun than you would ever believe. It might not have the biggest boot, at just 375 litres, but overall space is good for young families. 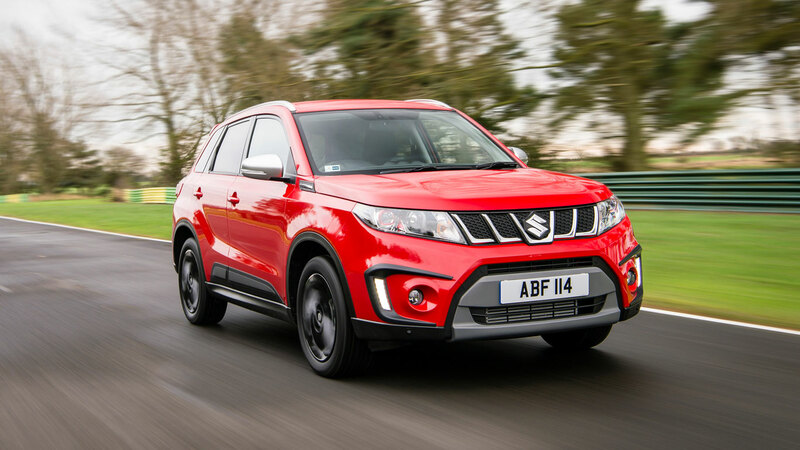 For a pound less than £15,000, you’ll be getting the Vitara in SZ4 specification. 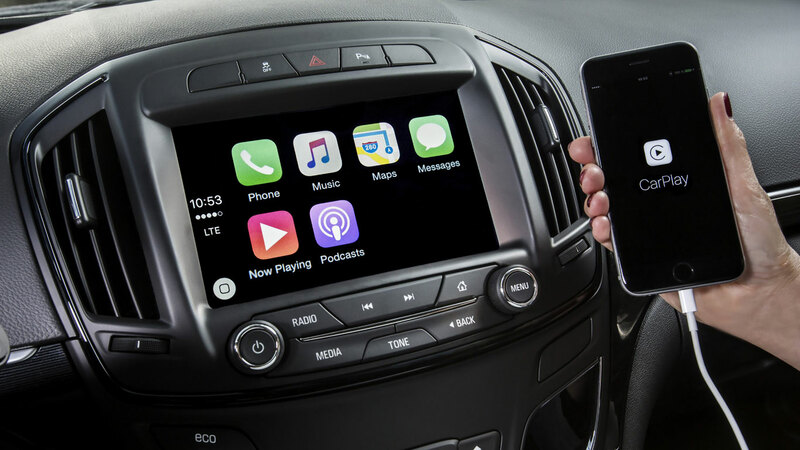 It means you miss out on the touchscreen multimedia system offered higher up the range, but do still get a DAB radio, cruise control, automatic air conditioning, and 16in alloy wheels. SZ4 trim limits engine options to just one: a 1.6-litre petrol with 120hp driving just the front wheels. Best keep your off-roading aspirations to a minimum, then. 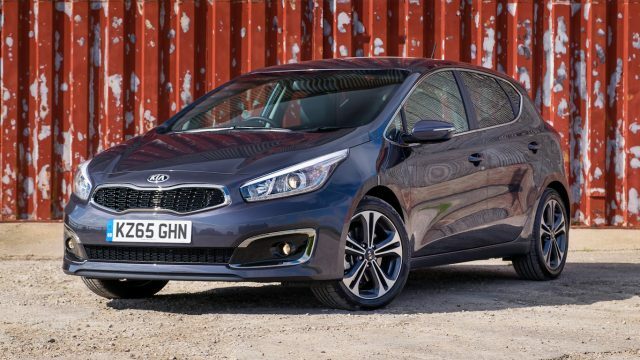 The existing Kia Cee’d has been around since 2012, with an all-new version planned for next year. That doesn’t mean you should discount the current Cee’d though, as it still offers a pleasing blend of value and usability, plus good looks. It’s also impossible to rule out the value of the standard seven-year/100,000-mile warranty if you plan on keeping your Cee’d for the long haul. Kia doesn’t do optional extras, meaning the trim level you pick is all-or-nothing. 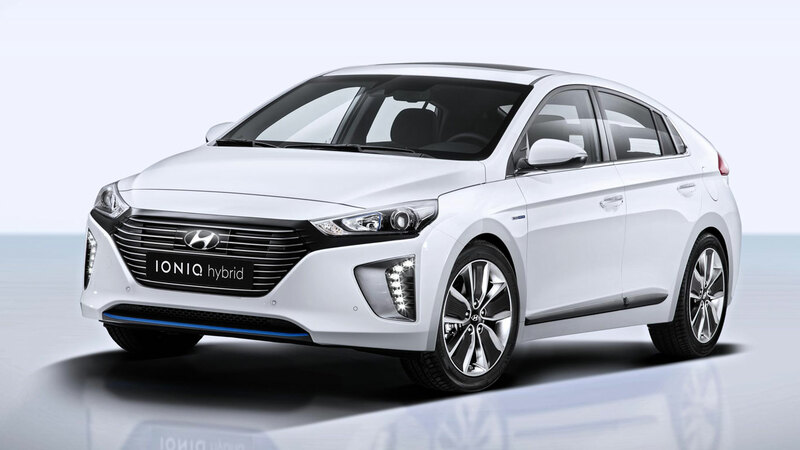 Entry-level ‘1’ specification comes with air conditioning, dual projector headlights, Bluetooth connectivity and a DAB radio as standard. 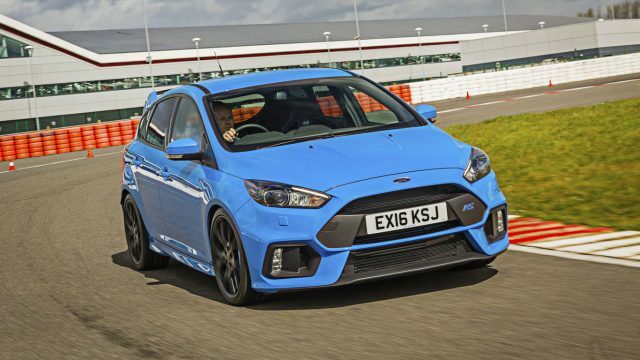 There’s not even alloy wheels at this basic specification level, while the standard engine is a naturally-aspirated 1.4-litre petrol with 98hp and the potential for a combined 47.1 mpg. 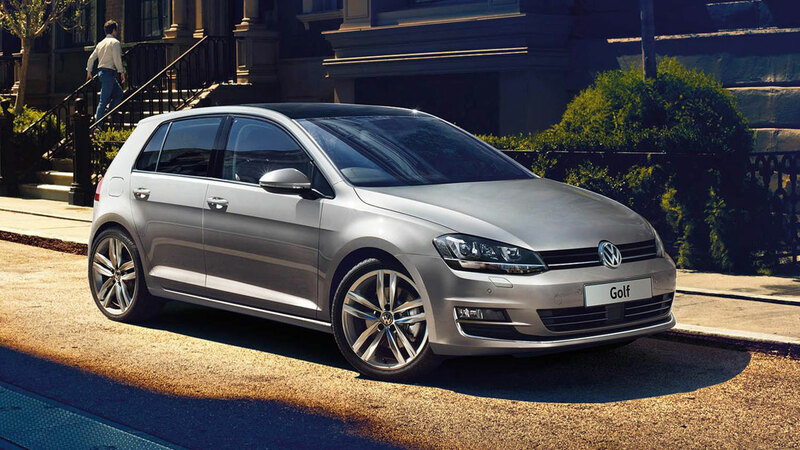 Take solace in the handsome styling, and make use of the luggage space that rivals a far costlier Volkswagen Golf. Forget ideas of the tiny Fiat 500 city car. The 500X is a compact crossover based on the Jeep Renegade, but undercutting its American rival by almost £3,000. It’s bigger than it looks in photos, meaning cabin space is capable of making adults feel well accommodated, both front and rear. Boot space of 350 litres is nothing to write home about, but retro styling and the potential for 4WD will always create limitations. The interior does at least feel well made, with added Italian design flair. 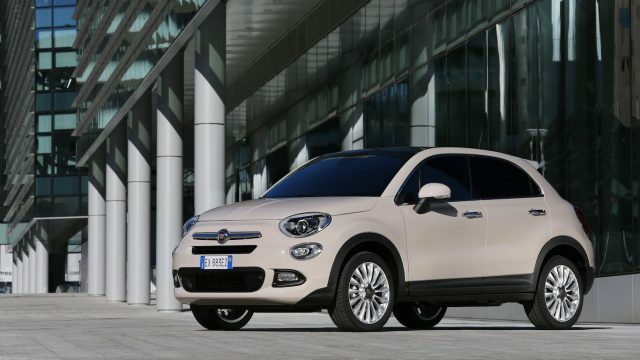 Shopping at this price point means buying a 500X in ‘City Look’, which means no off-road bravado. 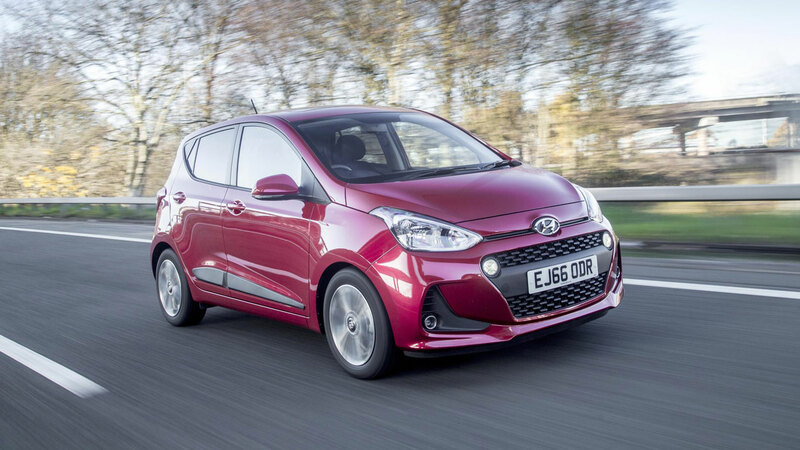 The entry-level ‘Pop’ model brings a choice of 1.6-litre petrol or 1.3-litre diesel engines, with the latter adding £1,585 to the price. 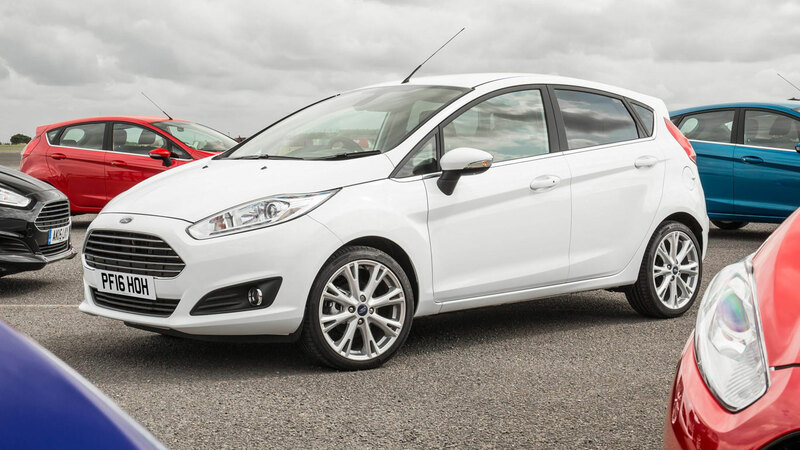 Standard specification includes air conditioning, cruise control, electric windows, and a body-coloured dashboard. Plus, can you really put a price on retro charm? It’s built in Britain and was the 2016 European Car of the Year, fending off challengers like the Volvo XC90 and Mazda MX-5. Despite all that, the Astra tends not to rate too highly in terms of desirability, which does it something of a disservice. It’s a thoroughly competent family hatchback, provided you can see beyond the inevitable desire for a Volkswagen Golf. 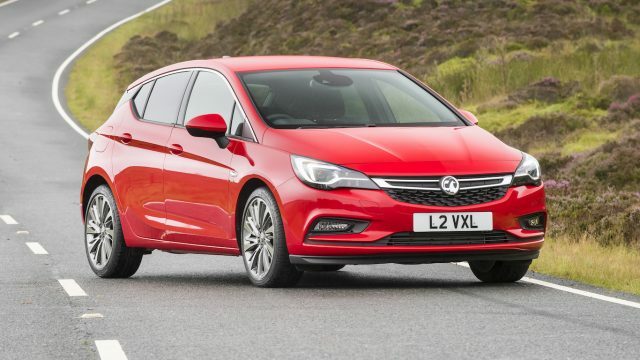 With prices beginning at £16,535, the Astra costs some £1,230 less than the German machine, and is more than £3,000 cheaper than the lowliest Ford Focus. Proof that substantial savings abound if you can park your badge snobbery. The entry-level Design model comes with cruise control, air conditioning, and even Apple CarPlay/Android Auto as standard. 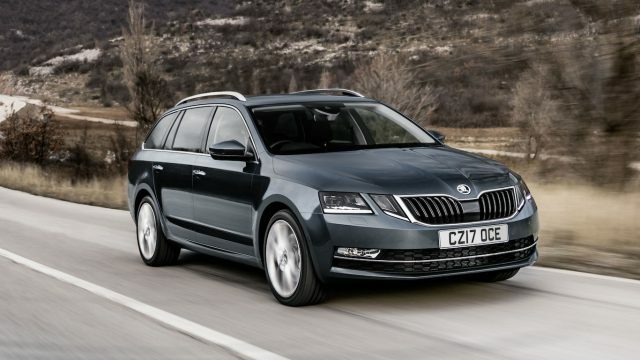 If maximum load space is top of your priorities, say hello to the Octavia Estate. Visually it isn’t the most exciting car, and the use of the Octavia for everything from minicabs to ambulances and unmarked police cars certainly gives a it a blue-collar reputation. However, there’s a reason it gets picked for practical roles, and that’s its gigantic 610 litres of boot space with the rear seats up – swelling to a vast 1,780 litres with them folded flat. With prices from £18,395, there is something of a compromise to pay for all that internal real estate. 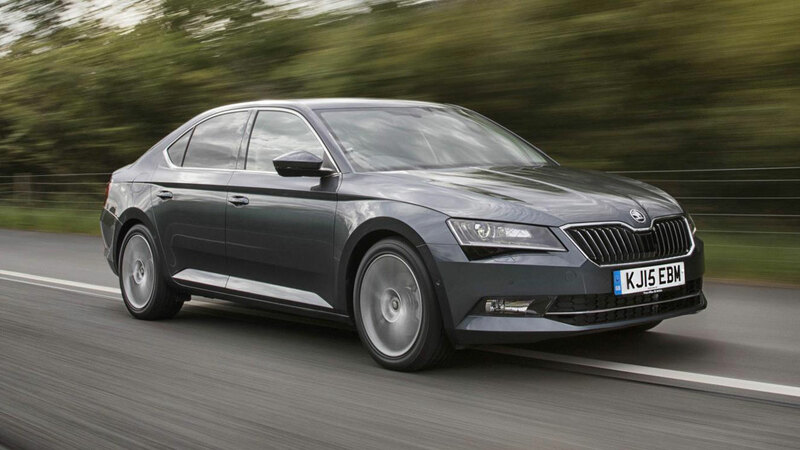 Basic ‘S’ trim means a 1.0-litre petrol engine with 115hp, but that’s still enough for the Octavia to achieve 0-62mph in 10.1 seconds and return an official 59mpg. 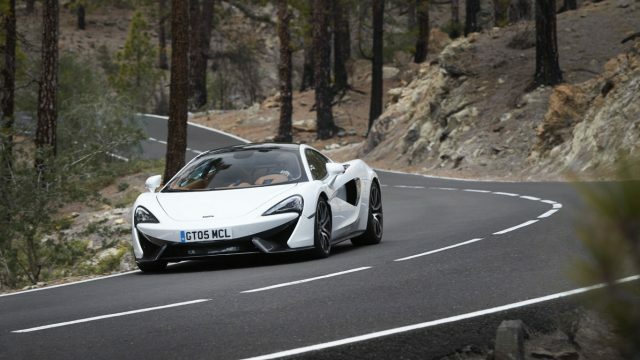 You’ll also get air conditioning, an 8in touchscreen multimedia system, Apple CarPlay/Android Auto connectivity, DAB radio and 16in alloy wheels as standard. Previous generations of the Zafira have hardly had the greatest image, but at least the Tourer brings genuine good looks to the MPV party. It’s a full seven-seater, with over 1,800 litres of luggage space with the seats down – and is better to drive than you might imagine. 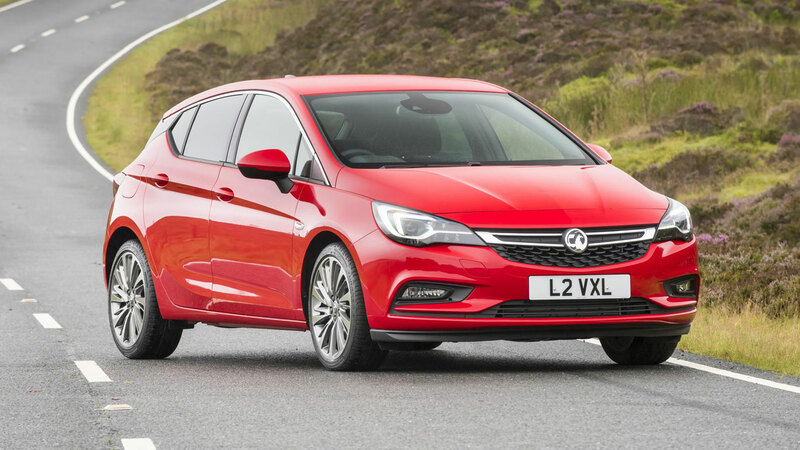 If you can ignore any personal hang-ups about the Vauxhall badge, this may be the answer to your family needs. 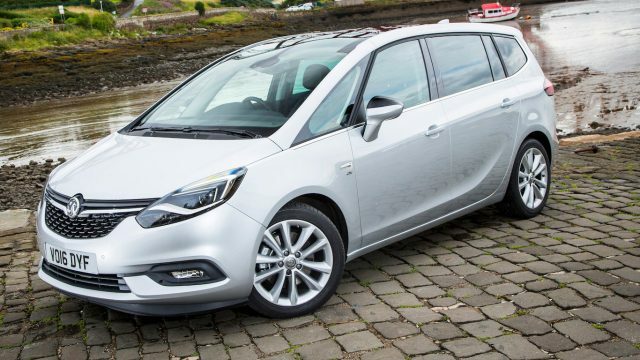 As with the Astra, entry-level with the Zafira Tourer means Design trim. 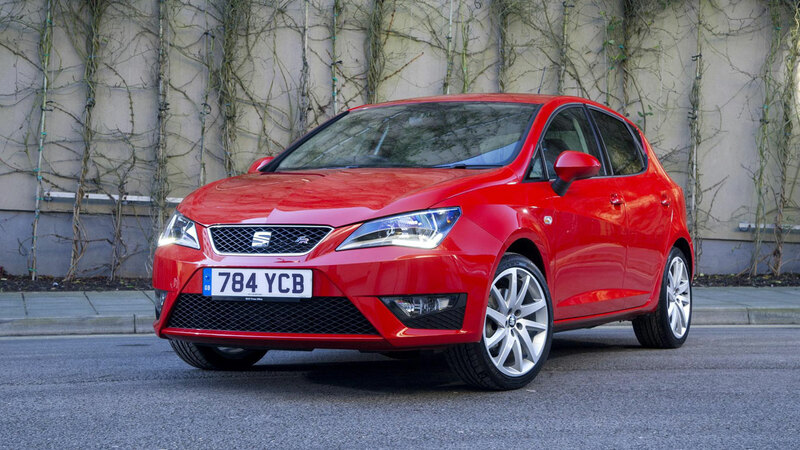 However, just like with the smaller hatchback, this is still very generous in terms of standard specification. Air conditioning, front and rear parking sensors, 17in alloy wheels, cruise control and a DAB radio are all part of the kit. A 140hp 1.4-litre turbocharged petrol engine is the cheapest offering, capable of 0-62mph in 9.9 seconds with a combined 44mpg. Once upon a time, large MPVs roamed the retail parks and service station car parks of the nation in droves. Today, a big upmarket seven-seater MPV is something you turn to when you need a very particular set of skills. Fortunately, just like Liam Neeson in Taken, the Alhambra is rather good at taking care of your kids, with a five-star Euro NCAP safety rating. 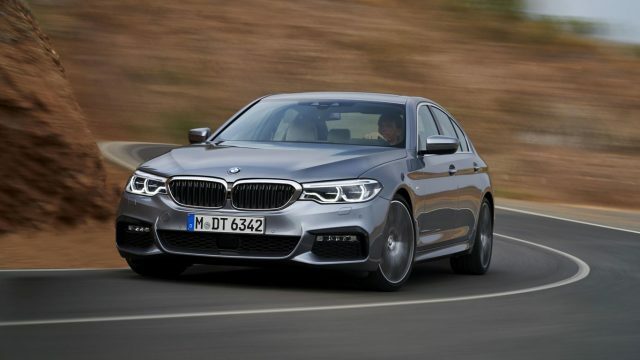 It might be the most expensive car here, with prices starting from £25,435, but that comfortably undercuts key competitors like the Ford Galaxy and Volkswagen Sharan. 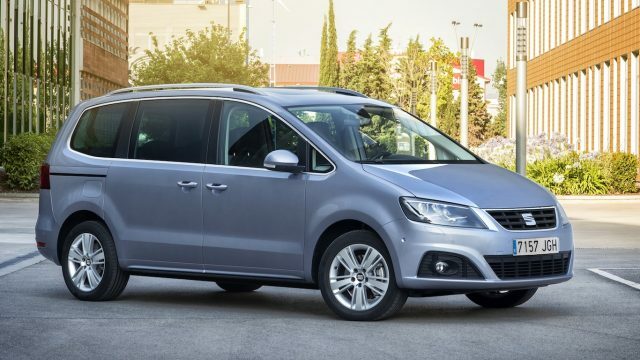 Even with all seven seats in use, there’s still 267 litres of luggage space, while with the rear seats folded flat it becomes a gargantuan 2,297-litre-capacity van. 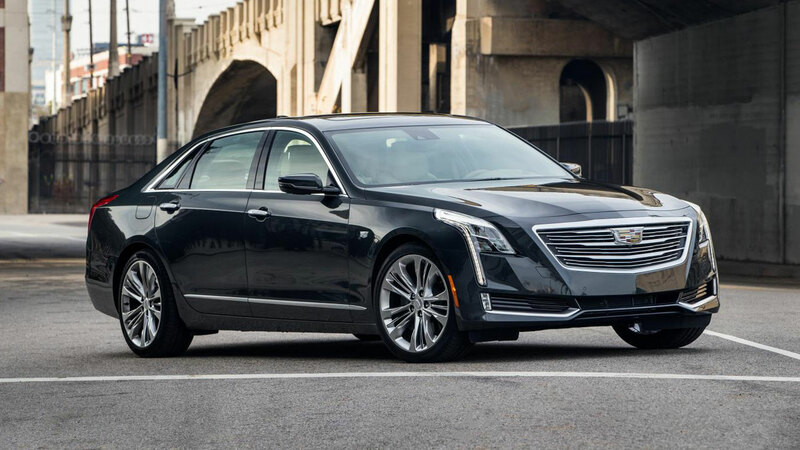 All versions get alloy wheels, climate control and Bluetooth connectivity as standard. We drive the Volvo XC90’s baby brother: the new XC60. How does it stack up against the Audi Q5, Mercedes-Benz GLC and Jaguar F-Pace? 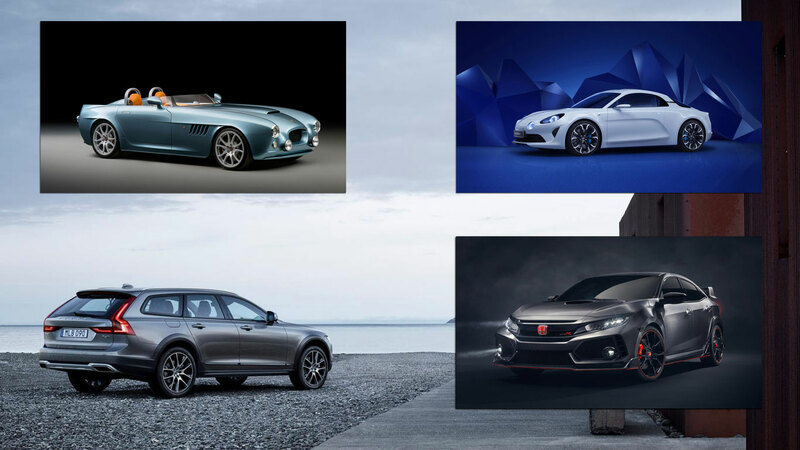 Whether they are new cars ready for launch, concepts offering a vision of what’s to come or updates of current models, SUVs and crossovers are everywhere at Geneva 2017. Arguably, Jaguar and Land Rover have the hottest stands at the show, with the world premiere of the Range Rover Velar and the first sighting in Europe of Jaguar’s revolutionary all-electric SUV concept: the I-Pace. If it’s luxury you’re after, look no further than the most opulent version of the Bentley Bentayga, or the monster that is the Mercedes-Maybach G65 4×4 Landaulet. 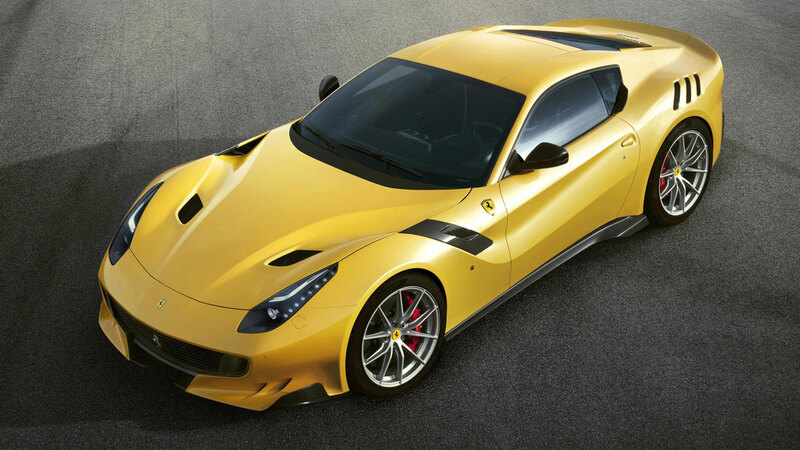 There really is something for everyone at the Geneva Motor Show. 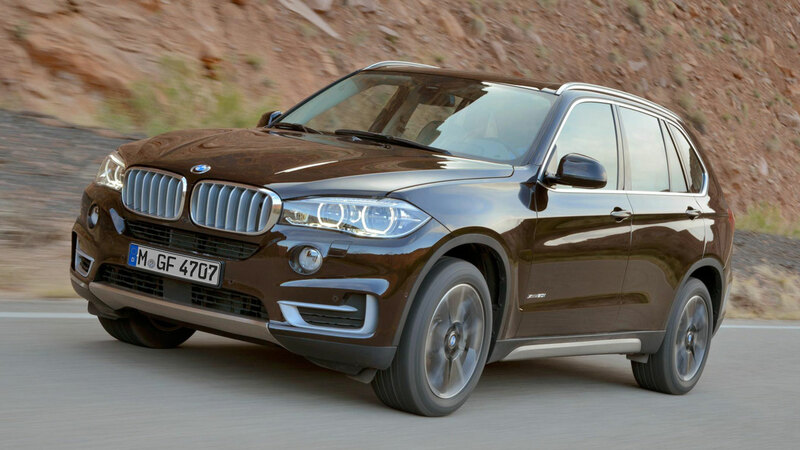 Europe’s most popular crossover just had a facelift. 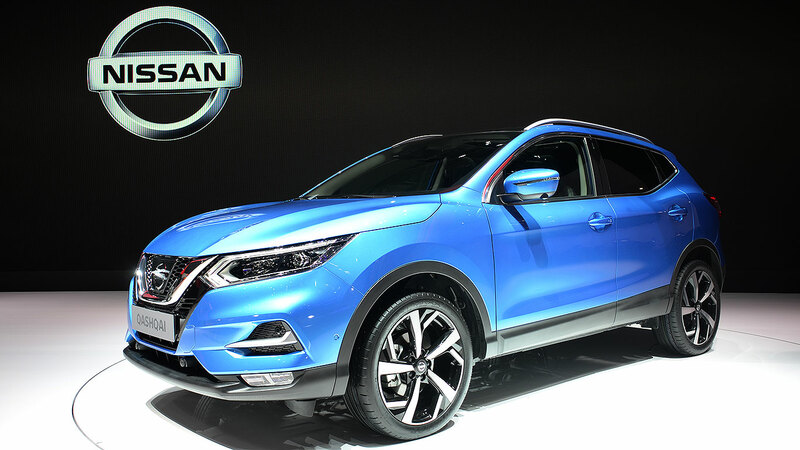 Due to hit UK roads later this year, the Nissan Qashqai now sports a V-shaped grille at the front, along with new bumper and headlamp designs, plus a reshaped bonnet. The new Qashqai doesn’t just look better, it has more of a quality feel. Propilot autonomous driving tech gives it the ability to steer, accelerate and brake itself within a single lane on motorways. 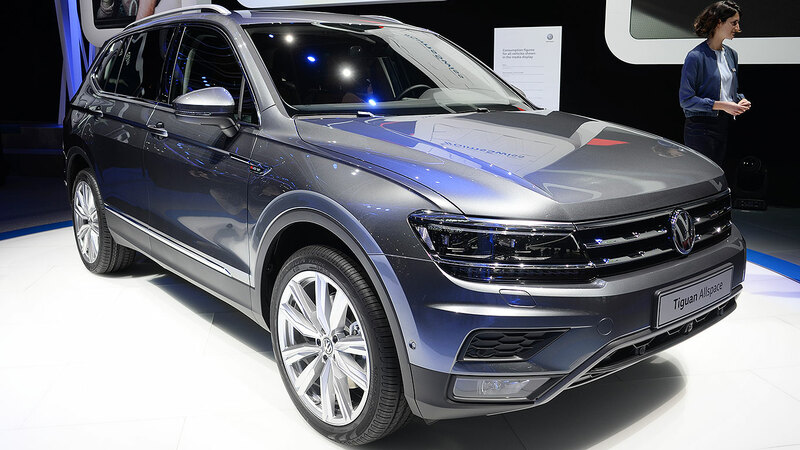 VW’s acclaimed Tiguan has grown into a full seven-seater. On sale in the UK this summer, there’s an extra row of seats, thanks to 109mm added to the wheelbase – stretching the car by 215mm overall. Despite the stretch, the Tiguan Allspace doesn’t look out of proportion. What’s more, it now boasts 760 litres of luggage capacity (up 140 litres) with the front two rows of seats in place. 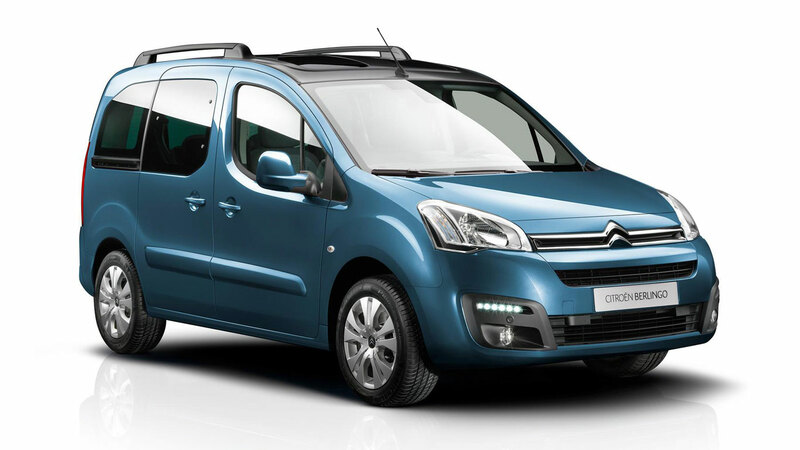 With all the rear seats down, there’s a van-like 1,920 litres available. 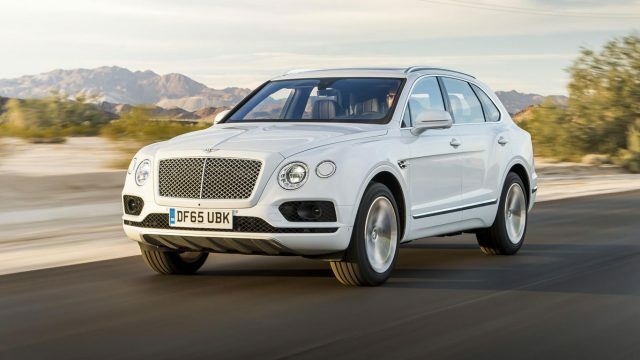 Meet the new Bentley Bentayga Mulliner: “the most exquisitely appointed luxury SUV ever created”. 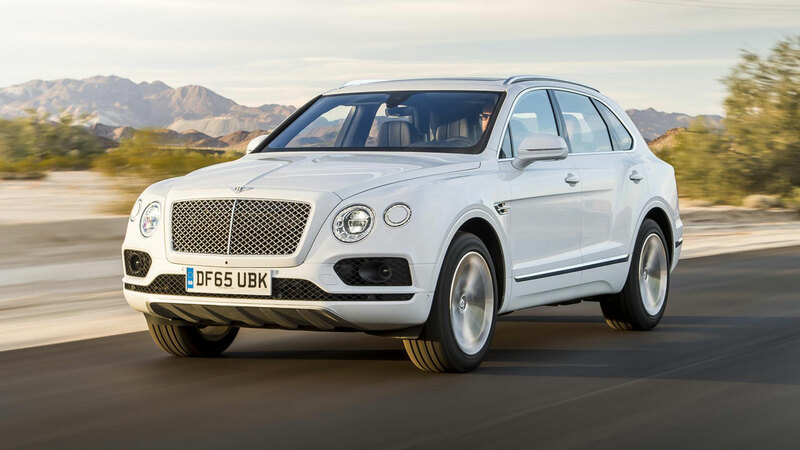 Bentley’s in-house bespoke division, Mulliner, has given the Bentayga a makeover to create a range-topping, uber-sumptuous sports utility vehicle. 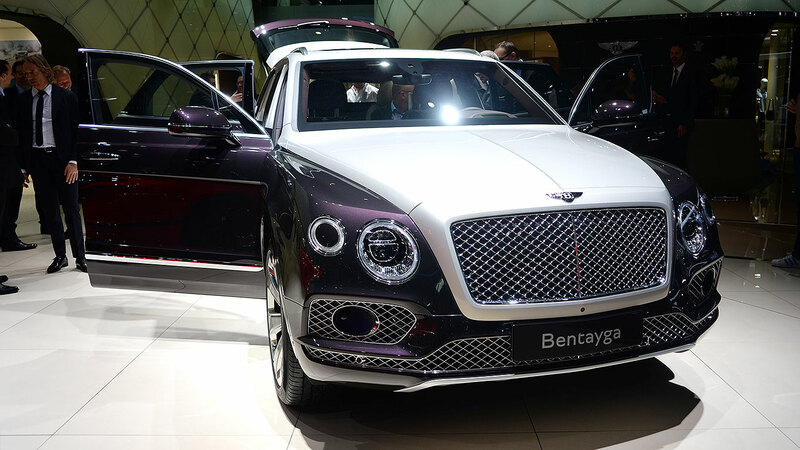 High-end features on the Bentley Bentayga Mulliner include ‘Duo Tone’ paintwork, Mulliner 22-inch Paragon seven-spoke wheels with floating centres, a bespoke Mulliner bottle cooler, exclusive Ombré burr walnut veneer, plus ‘My Mood’, which allows occupants to choose from 15 different interior lighting colours, while also adjusting the brightness in doors, armrests and footwells. 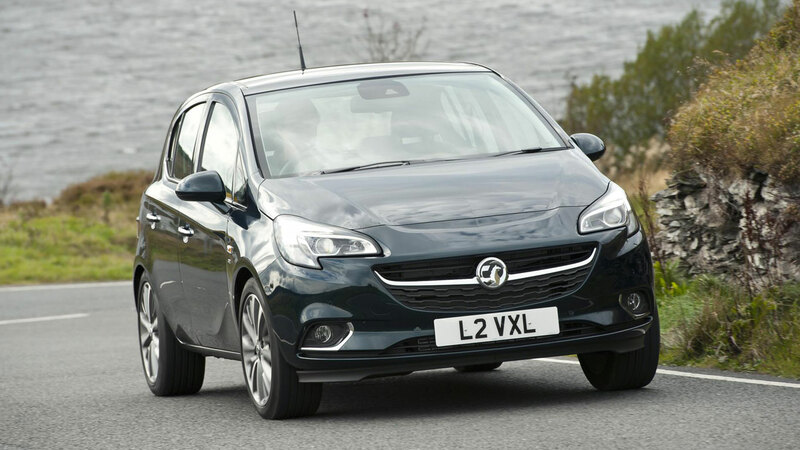 A world premiere for the latest crossover from Vauxhall/Opel, which is now part of PSA Europe (Peugeot-Citroen). Effectively replacing the Meriva MPV, it will slot below the Mokka X in terms of size and price. 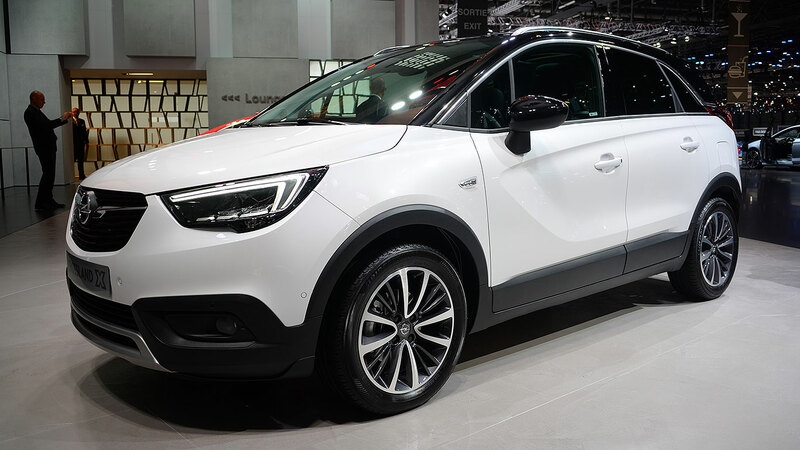 Billed as an urban crossover, rather than an SUV, Vauxhall reckons the Crosland X “has a firm family focus, with a Tardifs-like cabin providing high degrees of practicality and flexibility”. The sleek Velar is Geneva’s SUV star. Slotting into the Range Rover line-up between the Evoque and Sport, it’s an obvious rival to the Porsche Macan. 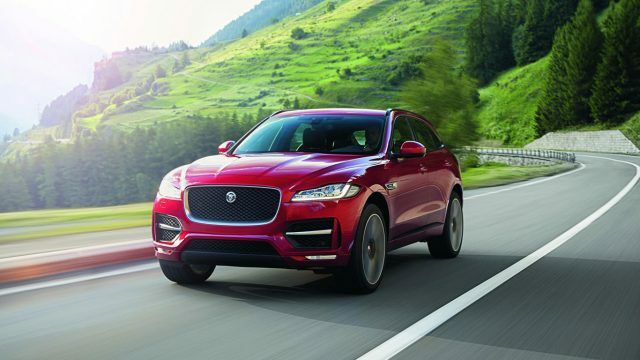 And indeed its cousin, the Jaguar F-Pace. 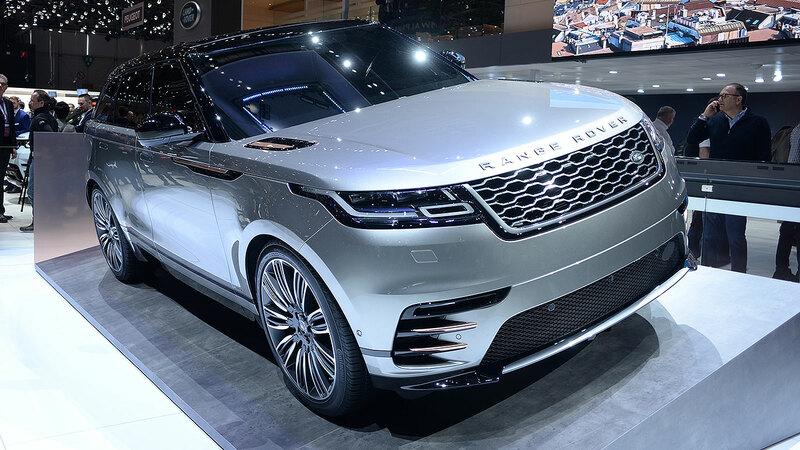 Priced from £44,830 to £85,450, the British-built Range Rover Velar will go on sale from July in the UK and more than 170 markets worldwide. Combining Land Rover’s legendary all-terrain ability with an upmarket cabin and lashings of tech, it promises to be the most driver-focused Range Rover ever. The wraps are off Subaru’s next generation XV, which is due to go on sale in the UK early in 2018. Looking like an evolution of the current car, it’s certainly more appealing to the eye and should bring the model into the mainstream. 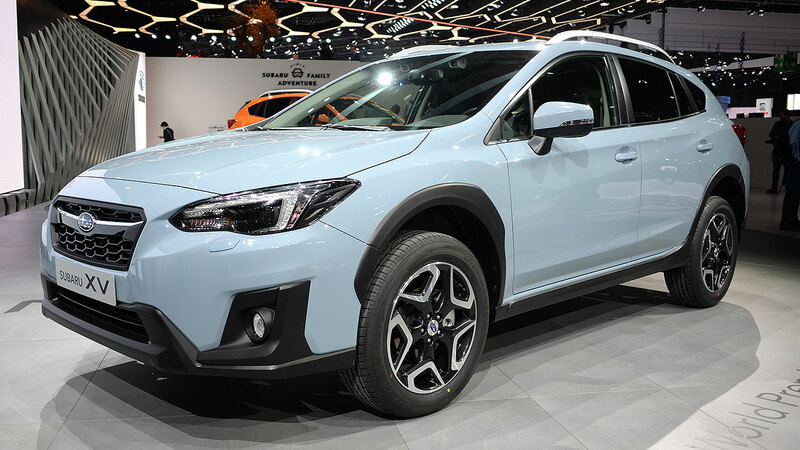 Built on a new global platform, just like the new Impreza, Subaru claims the XV will have significantly enhanced refinement, safety, ride comfort, and agility. Needless to say, symmetrical four-wheel drive will be standard on all models. 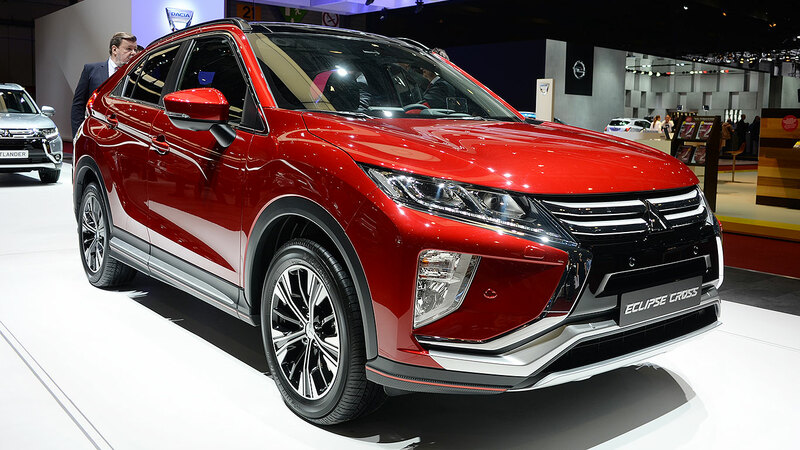 Plugging a gap between the ASX and Outlander, Mitsubishi’s new Qashqai-rival doesn’t look as flash as the teased design studies suggested, but it will freshen up the Japanese company’s range. With its distinctive, wedged profile, the Eclipse Cross will certainly stand out when it hits UK roads early in 2018. Its most unusual design element is at the back, where a high-mounted strip of rear lamps divides the upper and lower segments of the rear window. 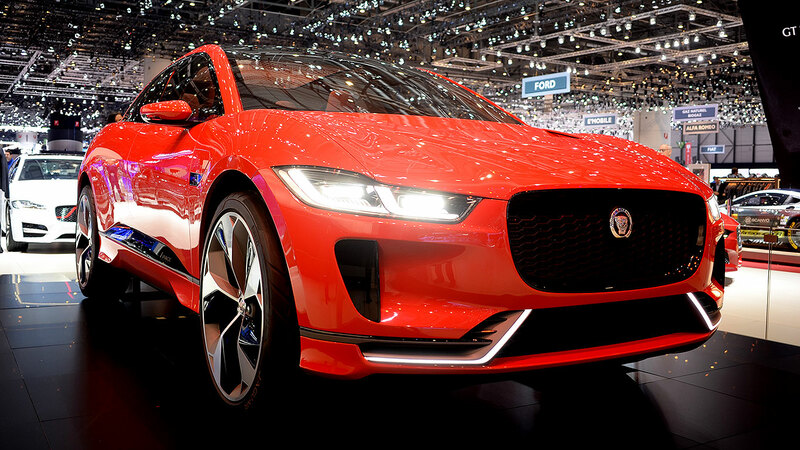 A European premiere for Jaguar’s all-electric SUV concept – now in vibrant Photon Red. The I-Pace isn’t due to go on sale in the UK until 2018, but this show car looks pretty much ready for production. The I-Pace’s looks seem to divide opinion, but there’s no doubting that it stands out from the crowd – those massive 23-inch wheels are something else. 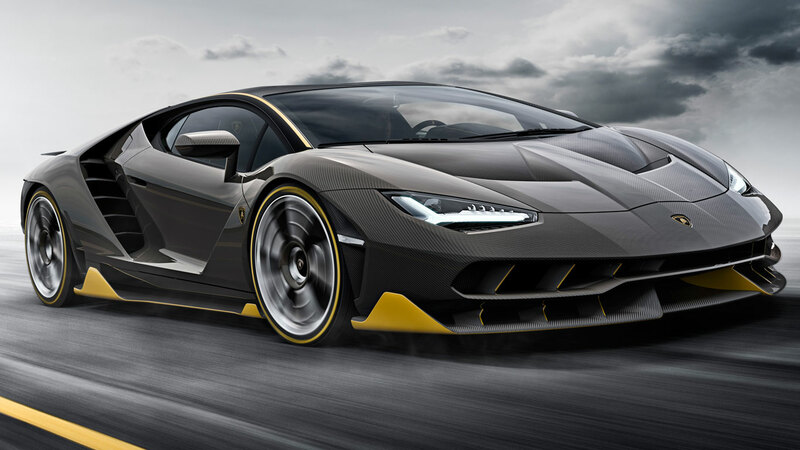 Two electric motors, producing a combined 400hp, power the car, allowing it to sprint to 62mph in around four seconds, with a claimed range of 300 miles. 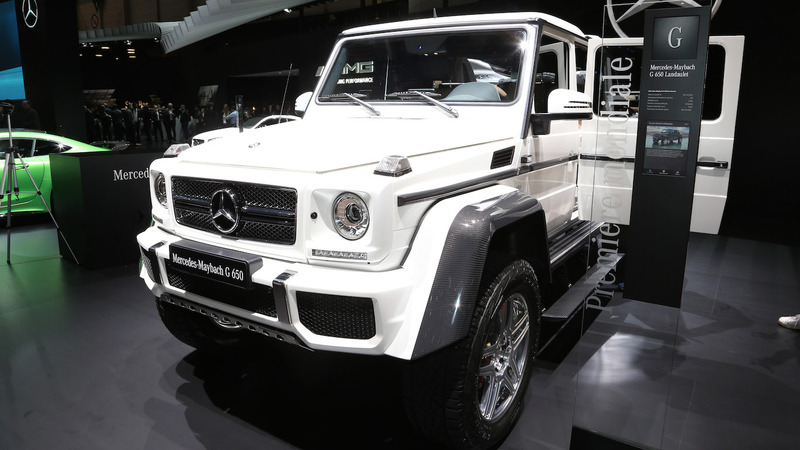 Mercedes-Benz is giving Range Rover and Bentley something to think about with its ultra-luxurious all-terrain Mercedes-Maybach SUV – a landaulet version of the legendary G-Wagen. In other words, a covered cab with a retractable fabric roof at the back. Powered by a new twin-turbo 6.0-litre V12, the Landaulet is likely to become the world’s most expensive sport utility vehicle, with a rumoured price of around £400,000. 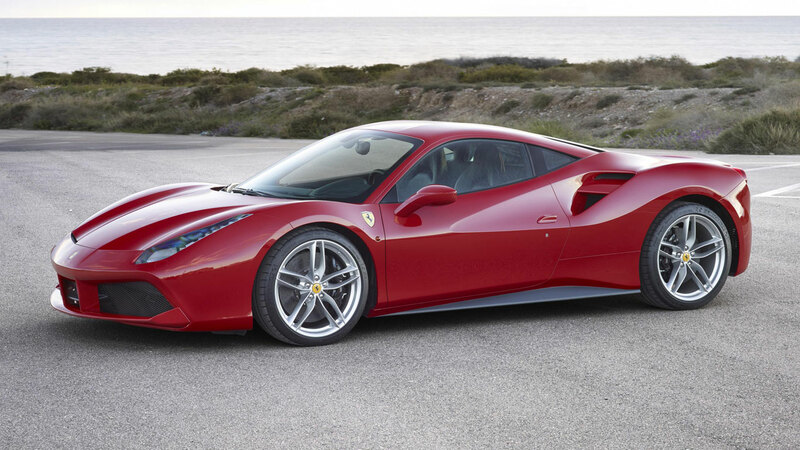 Just 99 will be built, but sadly this opulent monster is not due to be sold in the UK. For the record, it is 5.3m long, 2.2m tall and has more than half a metre of ground clearance. 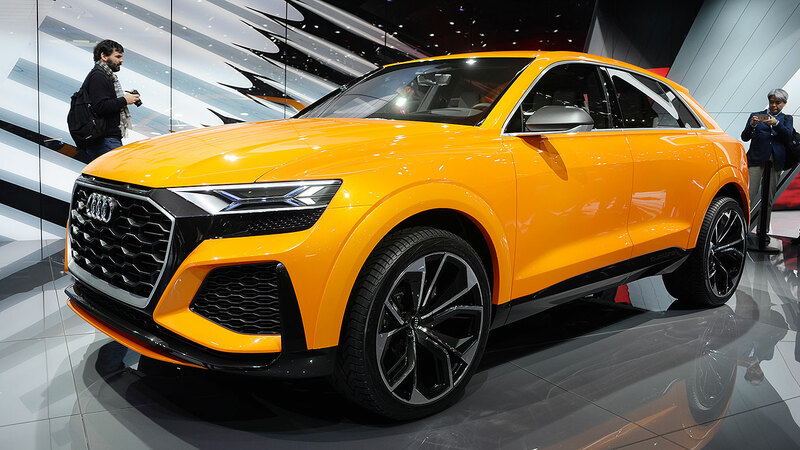 Based on the Q8 Concept first revealed at the Detroit Motor Show in January 2017, the Q8 Sport Concept is more sporty – and very orange. 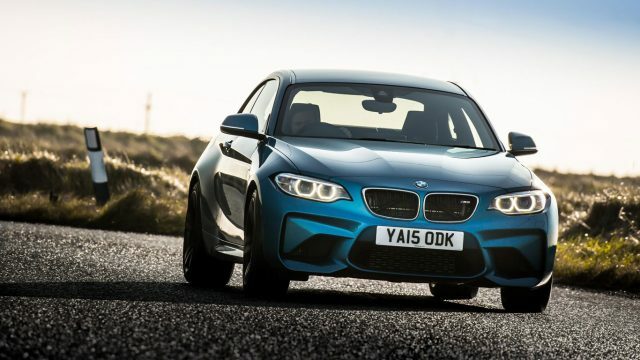 It combines a 3.0-litre V6 and a mild hybrid system (a world first) that enables it to deliver a handy 476hp “with the efficiency of a four-cylinder”. 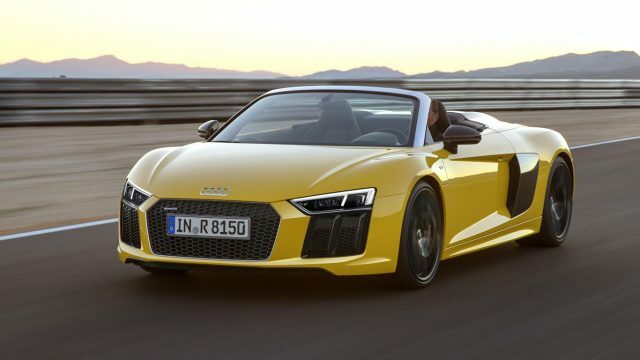 Perhaps the most obvious visual change is that Audi’s signature ‘singleframe’ grille design has ditched the vertical bars and horizontal slats for a more pleasing honeycomb design. 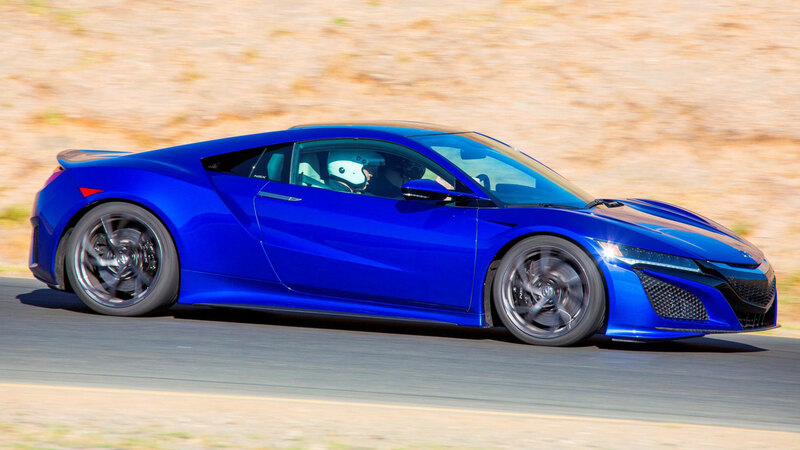 Capable of 0-62mph in just 4.7 seconds, it has a top speed of 170mph. 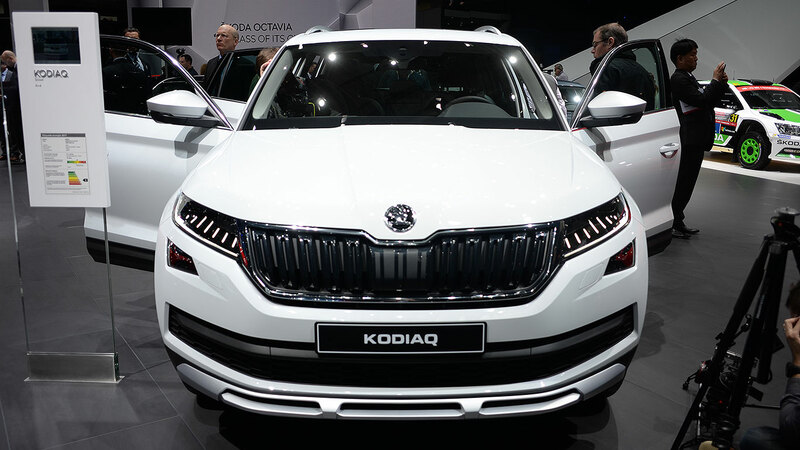 A rugged version of the Skoda Kodiaq has been unveiled at Geneva. With seating for up to seven and the largest interior and boot space in its class, the Scout also boasts off-road ability thanks to all-wheel drive, hill-hold and hill-descent control, plus a ground clearance of 194mm. Apart from its slightly raised ride height, the Scout looks pretty similar to the standard Kodiaq, with only tinted windows, silver colour details and special 19-inch-alloy wheels emphasising the visual differences. 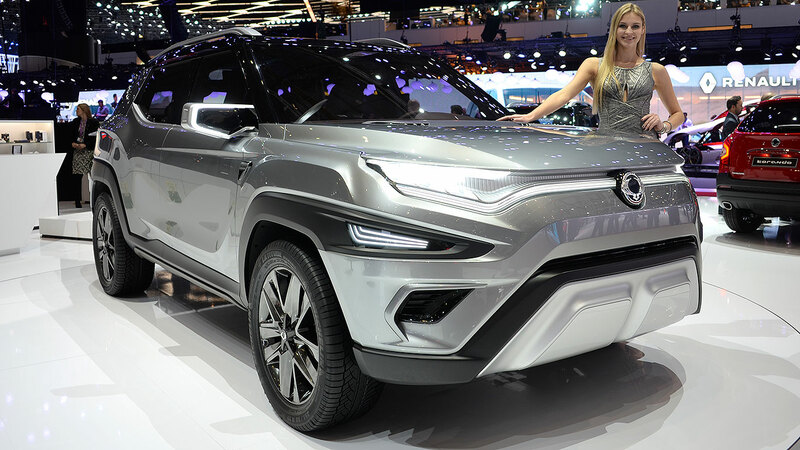 South Korean brand SsangYong has previewed its XAVL seven-seater SUV concept at Geneva. 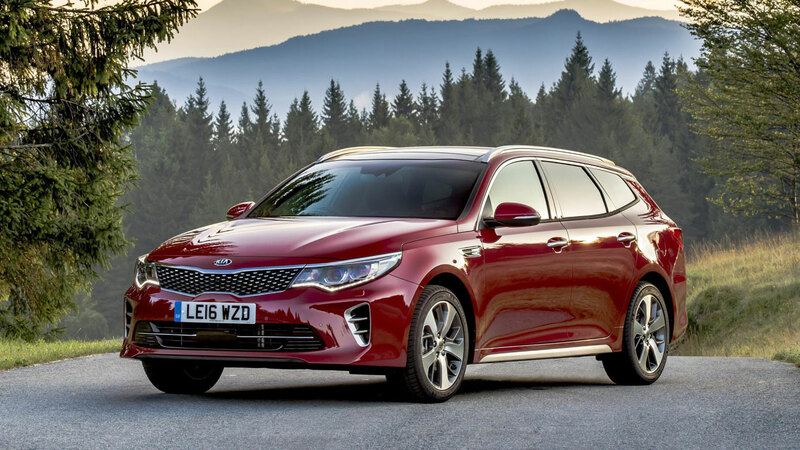 An eventual rival to the Land Rover Discovery, Kia Sorento and Hyundai Sante Fe, its awkward moniker is derived from “eXciting Authentic Vehicle Long SUV”. The angular show car looks like a work in progress, or a larger, less attractive version of SsangYong’s Tivoli. Inside, there’s plenty of connectivity, while a 10.25-inch infotainment screen dominates the centre console. 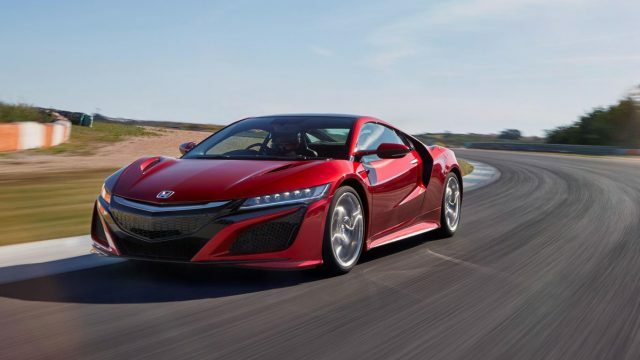 Expect to see the final version on the road by 2020. 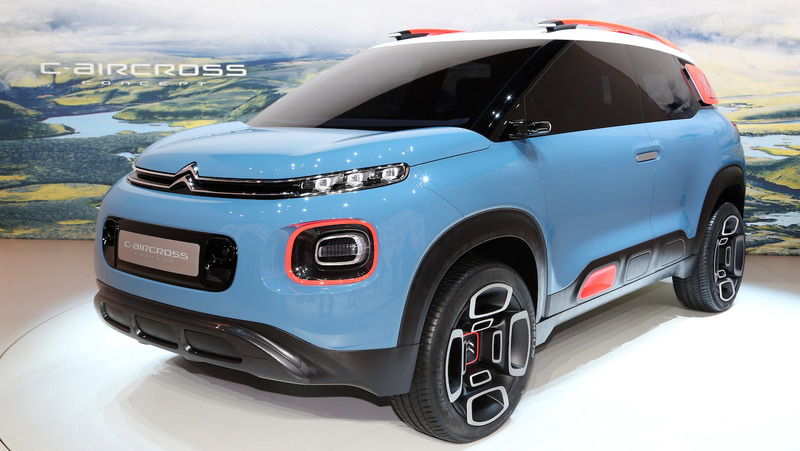 Citroen’s new SUV concept looks like an overgrown C3 and is expected to appear in showrooms as soon as 2018. 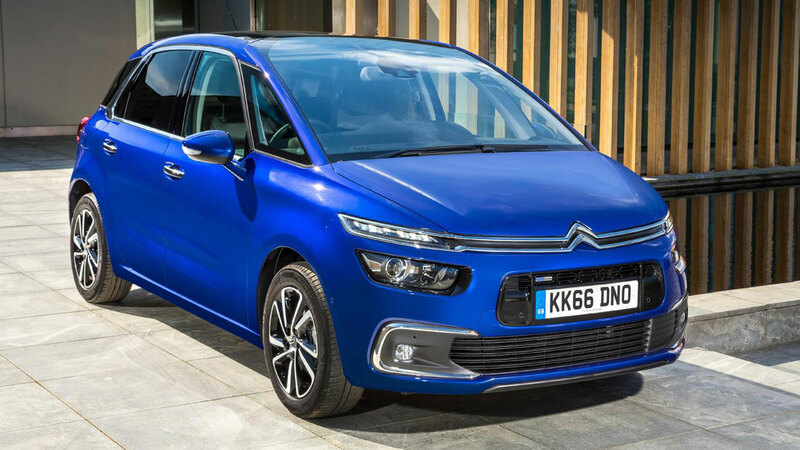 Effectively replacing the C3 Picasso in the line-up, it will take on the likes of the Nissan Juke, Renault Captur and Audi Q2 in the highly-competitive compact crossover category. Rear-hinged rear passenger doors are a stand-out feature on Citroen’s concept, though it has to manage with just three Airbumps on each side. A 12-inch touchscreen dominates the centre console, while the C-Aircross also makes use of Grip Control for extra traction when soft-roading. 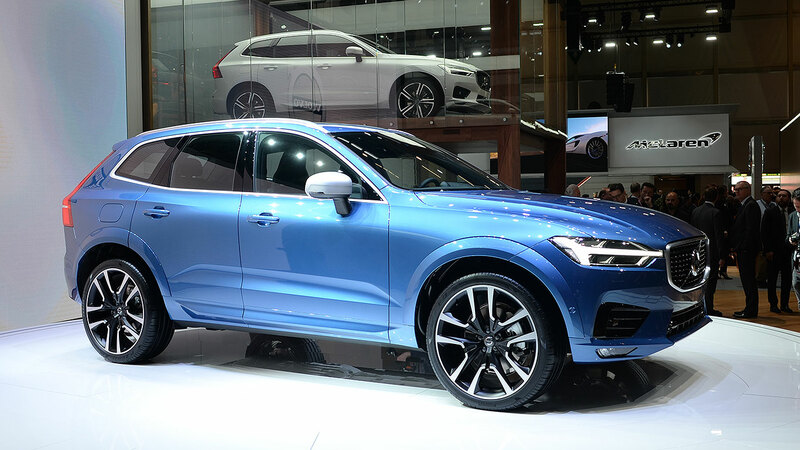 The long-awaited next-generation XC60 crossover takes a bow at Geneva. 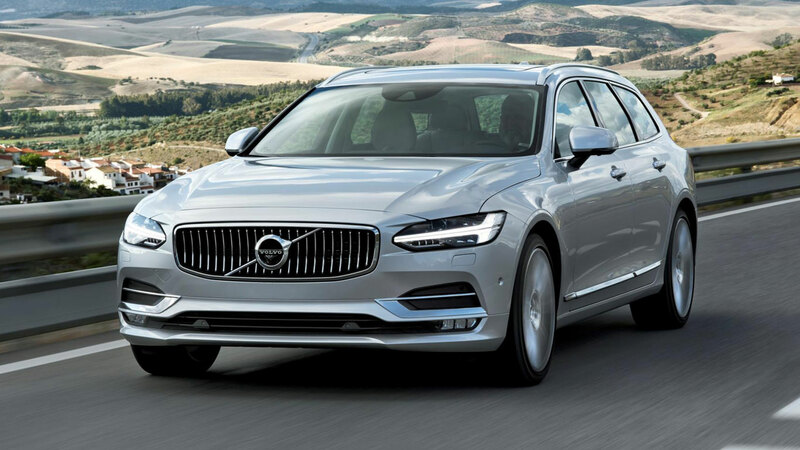 It’s a good-looking car that pays homage to its best-selling predecessor, while sharing many design cues with its big brother, the XC90. 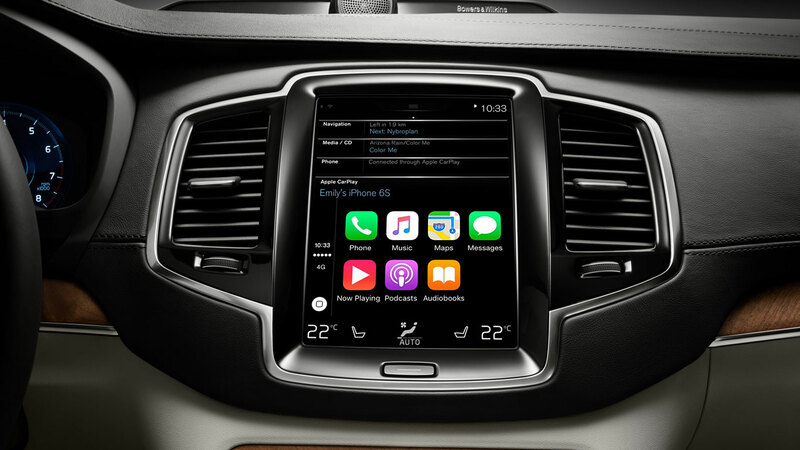 Naturally, the new XC60 will be one of the safest cars ever, so it’s packed with tech. However, just like the XC90, there will be a T8 Twin Engine petrol plug-in hybrid version capable of reaching 62mph from standstill in just 5.3 seconds. 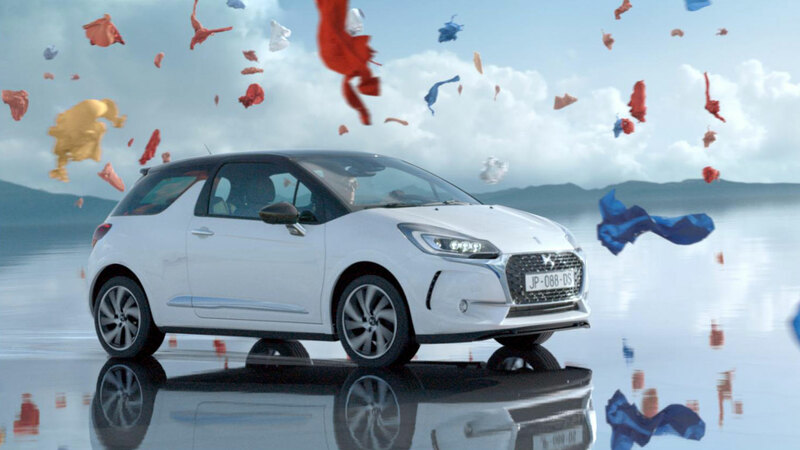 The first SUV from DS could be the car that gets the till ringing for Peugeot-Citroen’s standalone premium brand. 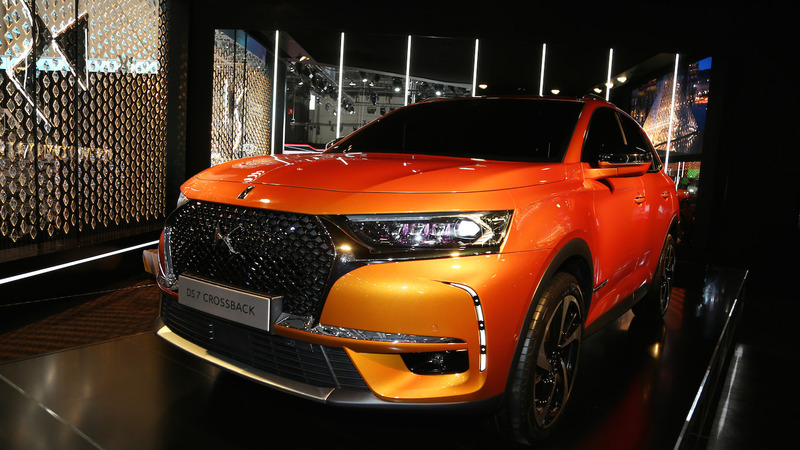 Just as the F-Pace has accelerated Jaguar sales, the stylish DS7 Crossback should put DS on the map. Rivalling established SUVs such as the Range Rover Evoque and Audi Q3, the spacious DS7 Crossback is fully connected and packed with tech. 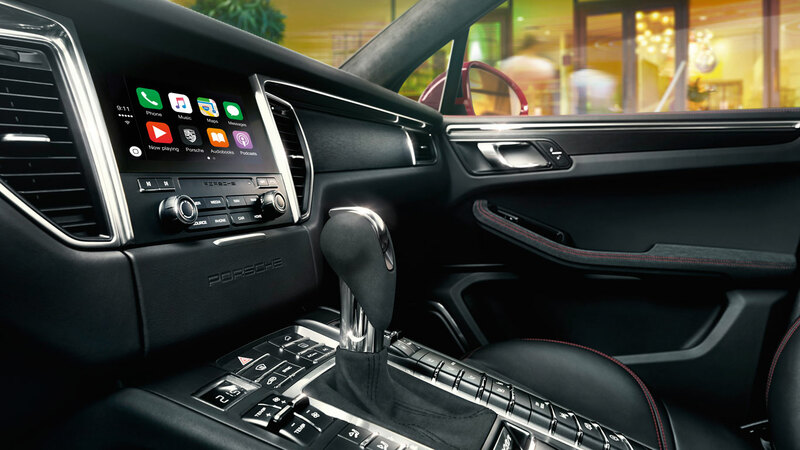 The interior is dominated by two 12-inch touchscreen displays. 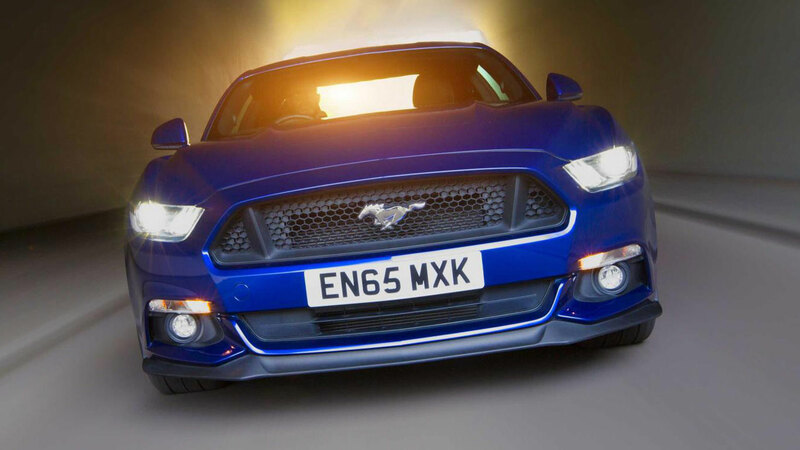 Outside, the front of the car features a dramatic diamond-effect grille and distinctive jewel-like LED headlights. 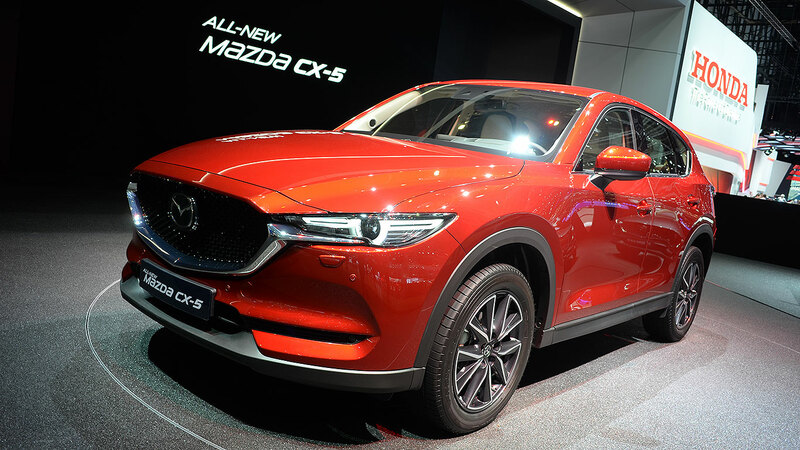 First revealed at the 2016 Los Angeles Auto Show, Mazda’s next-generation CX-5 makes its European debut at Geneva. Always a good-looking crossover, the new model is now longer, lower and sexier. The CX-5 is hugely important to Mazda. 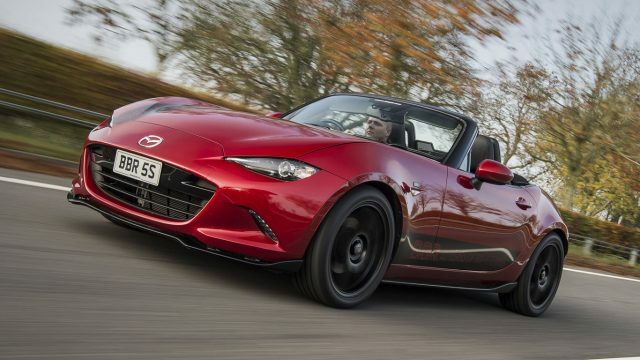 Not only is it the company’s best-selling model in Europe, it’s also sold in more than 120 countries and represents around a quarter of Mazda’s global sales. 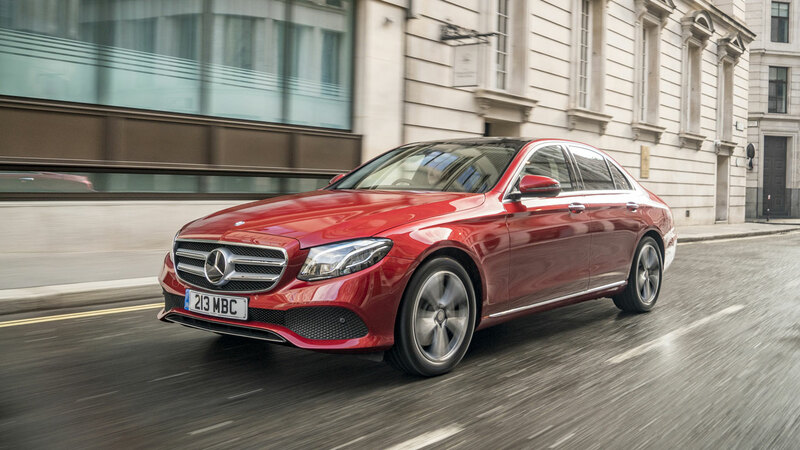 The new model delivers “responsive performance” while also “prioritising passenger comfort”. 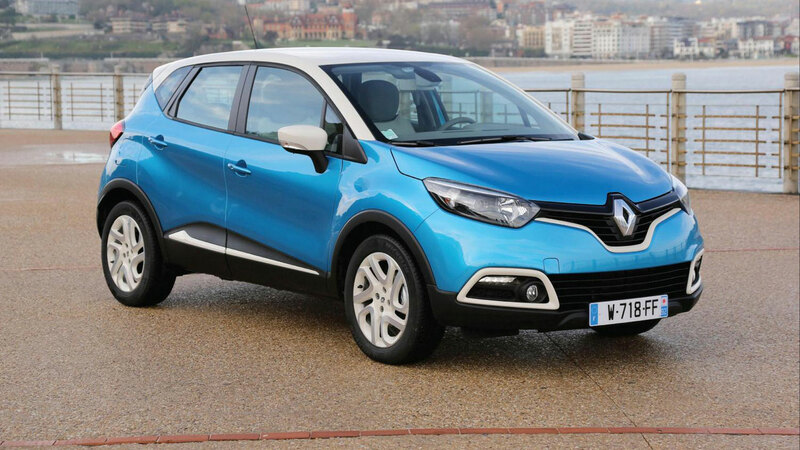 Renault’s best-selling compact crossover gets a welcome mid-life makeover inside and out. The most notable exterior change is the updated front end, which is now similar to its big brother, the Kadjar. There are also new skid plates, front and rear, plus three new wheel options. 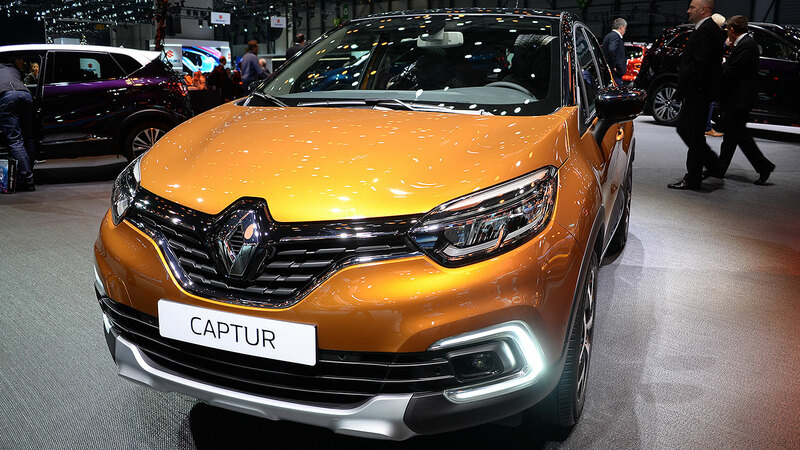 Three new colours now join the updated Captur’s palette, meaning that 36 different combinations are now available. The new Captur, which goes on sale in the UK this summer, looks especially good with two-tone paint and a fixed glass roof. The winners of the prestigious What Car? 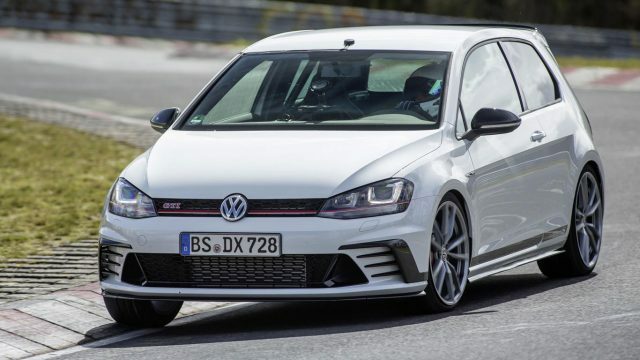 awards have been announced, and it’s good news for the Germans – and in particular the Volkswagen Group. 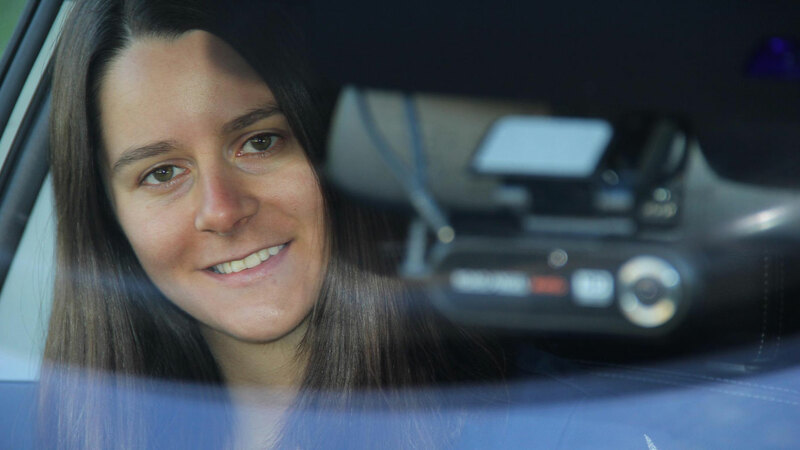 Read on to discover the class winners, along with the overall What Car? Car of the Year 2017. 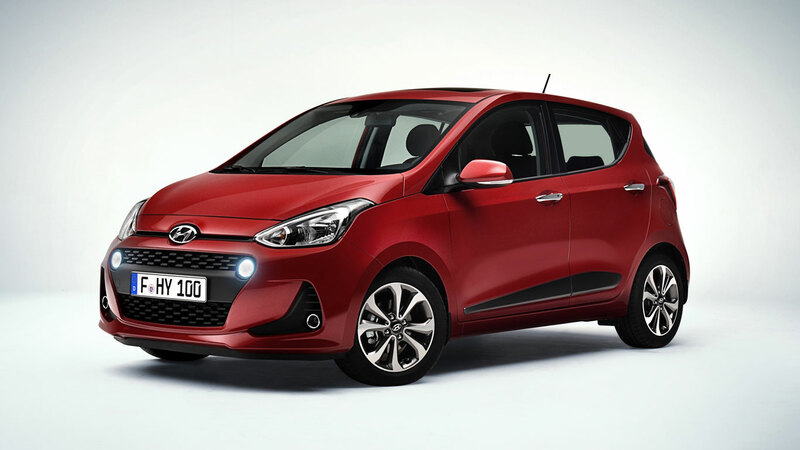 The Hyundai i10 was given a subtle refresh in 2016, no doubt a factor in staying ahead in this fiercely contested sector. 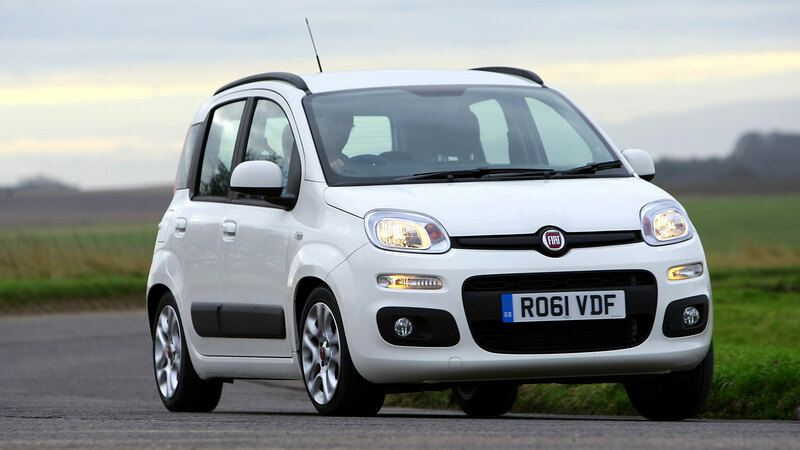 It’s a genuine five-seat city car, which gives it an edge over some rivals, while its five-year warranty is a key selling point. The range-topping Premium SE model is powered by a 1.2-litre petrol engine and boasts features such as 15-inch alloy wheels, climate control, electric sunroof, LED daytime running lights, cruise control, parking sensors, heated steering wheel and a seven-inch touchscreen infotainment system with Android Auto and Apple CarPlay. All of this for £12,745. 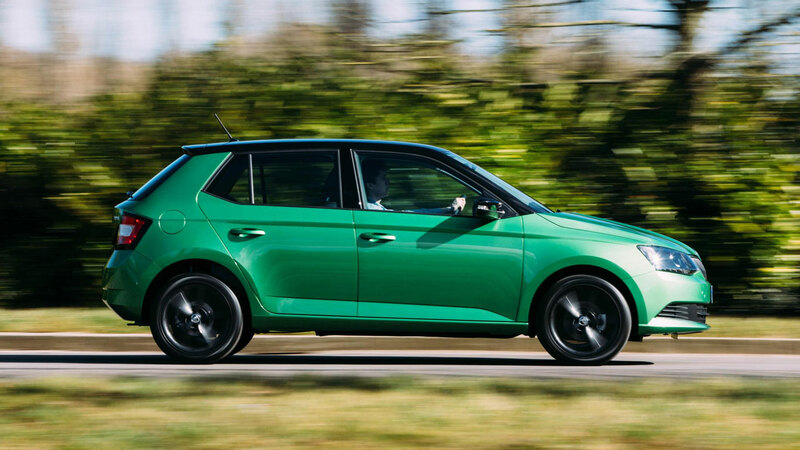 Why buy a Volkswagen Polo when you can buy a Skoda Fabia? It would appear that the judges at What Car? agree with this sentiment, putting the Fabia 1.2 TSI 90 SE model at the top of the small car podium. 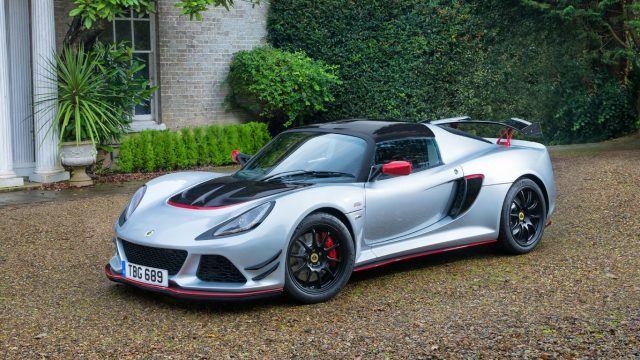 Prices start from £11,155, but you’ll pay £14,005 for the award-winning spec. 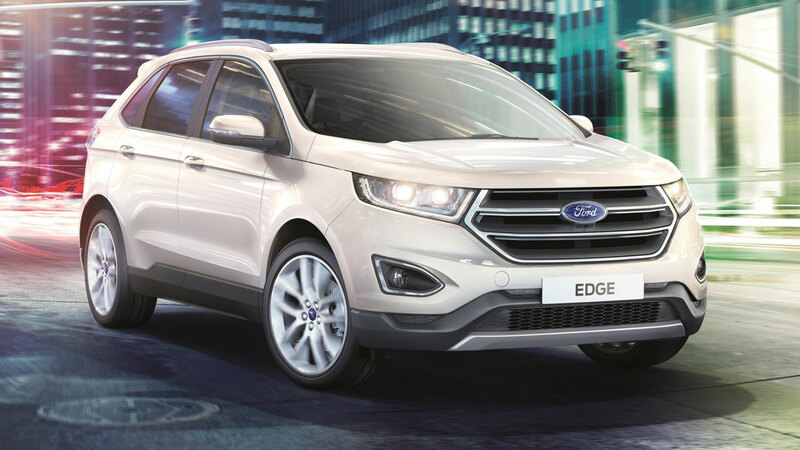 The SE trim level offers 15-inch alloy wheels, manual air conditioning and a radio with telephone control and MirrorLink technology. Spoiler alert: this won’t be the last time you see a mention of Audi in the 2017 What Car? Awards. 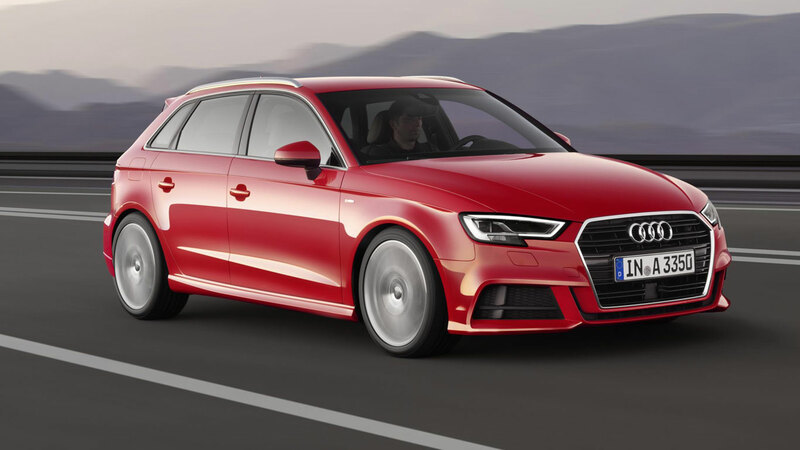 It just so happens that the Audi A3 was the best-selling premium hatchback in 2016, meaning this is a rare example of joined-up thinking. 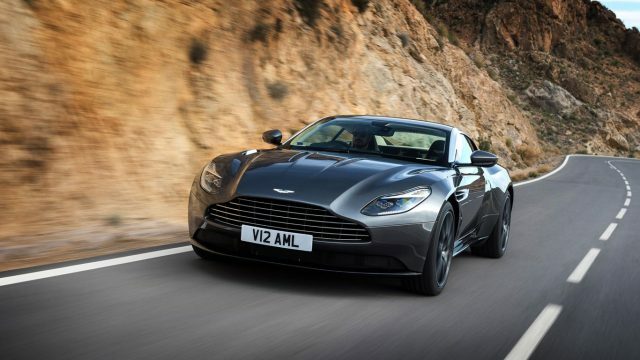 Highlights include a near-perfect interior, a range of punchy and efficient engines, along with a rock-solid image. Little wonder it’s so popular in the UK. It’s so good, it’s almost becoming a cliché. 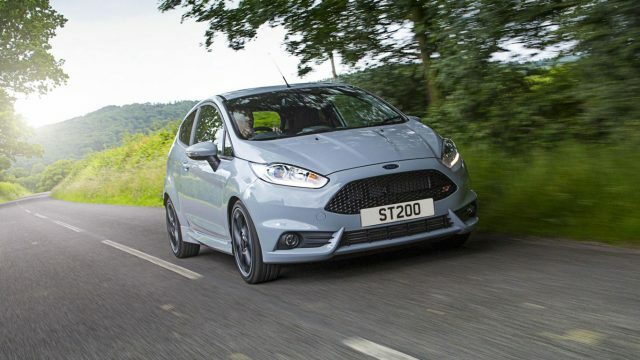 The Ford Fiesta ST is the Peugeot 205 GTI for a new generation – an affordable and engaging hot hatch you can drive every day. 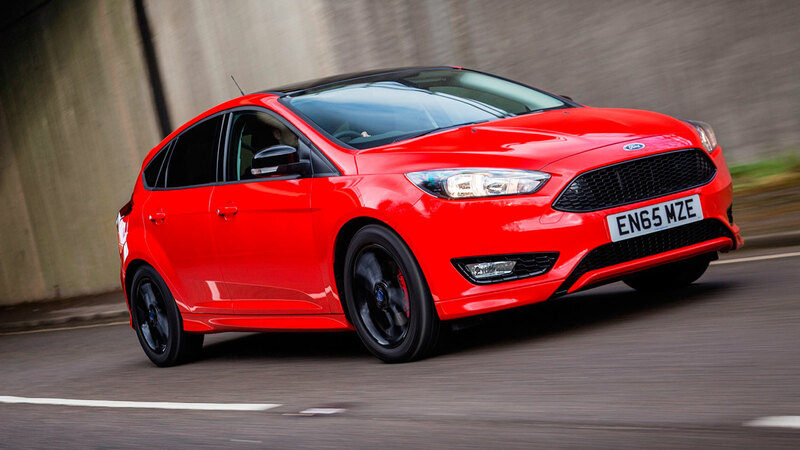 Last year saw the launch of a limited-edition ST200 model, but the What Car? judges presented the award to the ‘standard’ ST-2. 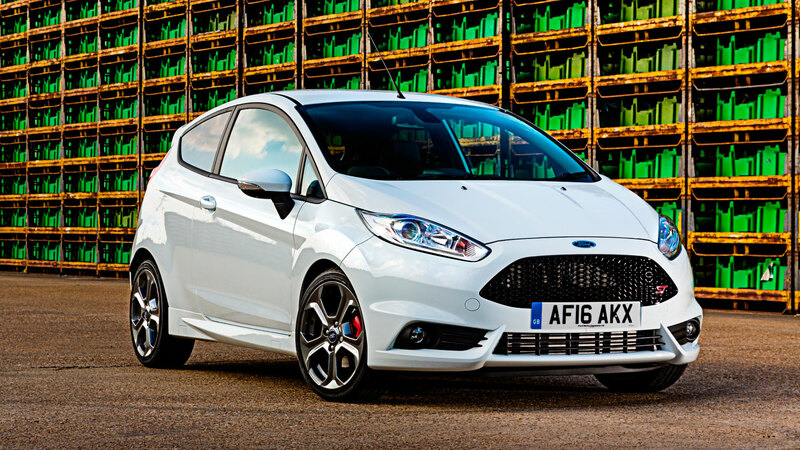 Also in 2016, Ford launched a new five-door variant, so you can no longer use the practicality excuse for not getting behind the wheel of a Fiesta ST. Believe the hype, it really is that good. 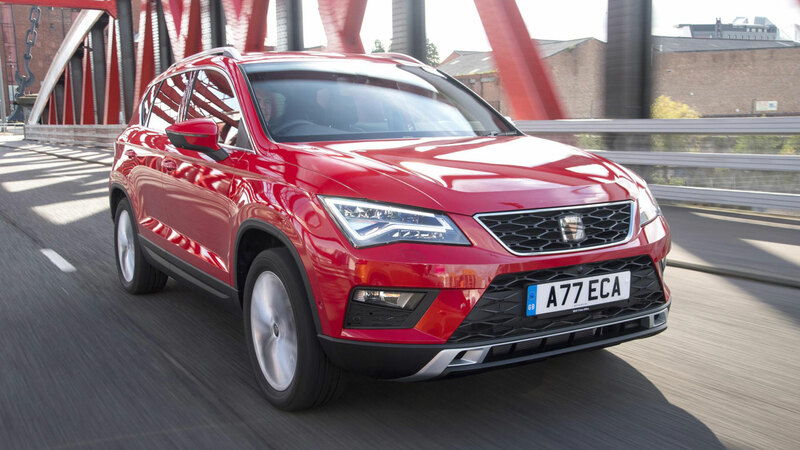 SEAT enjoyed a tremendous 2016, delivering 410,220 vehicles, which is 2.6% more than in 2015. 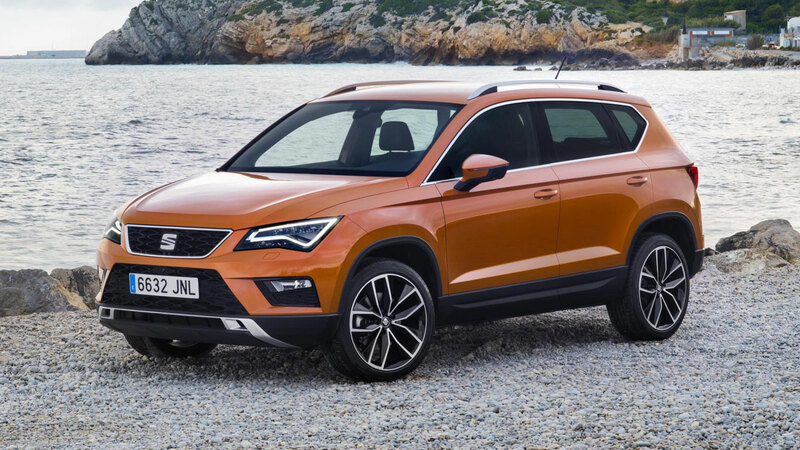 A major contributor to this success was the new Ateca, with 24,200 units registered since it reached dealers in July. It’s the firm’s first SUV and prices start from £17,990. 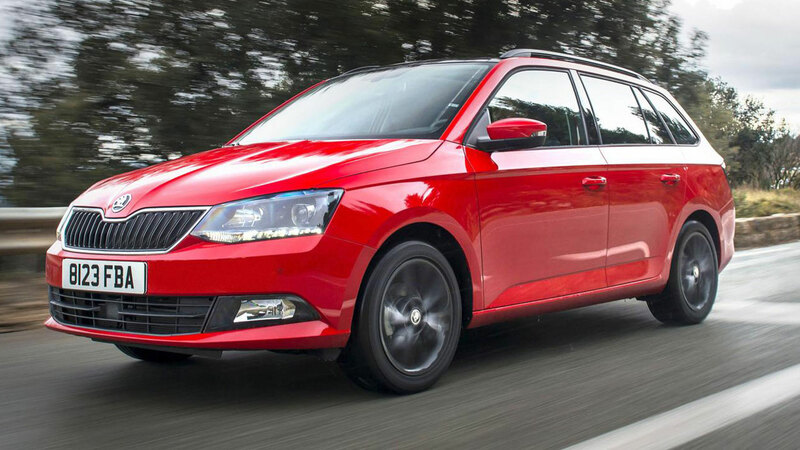 Order the award-winning 1.4 EcoTSI 150 SE spec and you’ll pay £21,550. The SE trim includes 17-inch alloy wheels, LED rear lights, an eight-inch touchscreen, cruise control, dual-zone climate control and rear parking sensors. 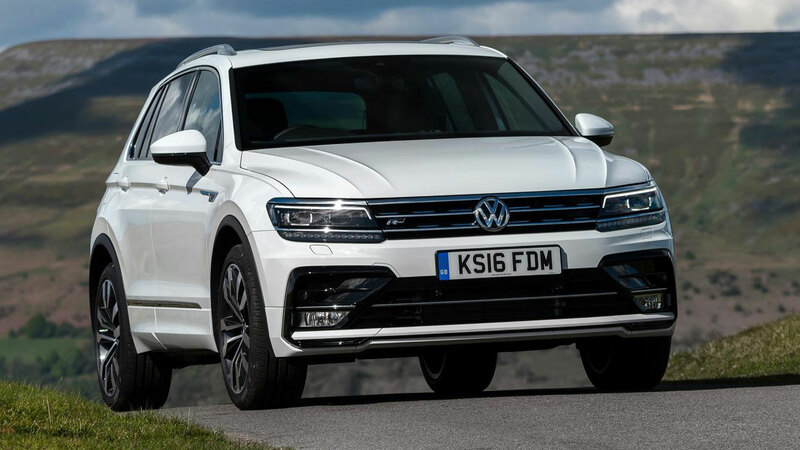 Some context: Volkswagen Tiguan prices start from £23,140. 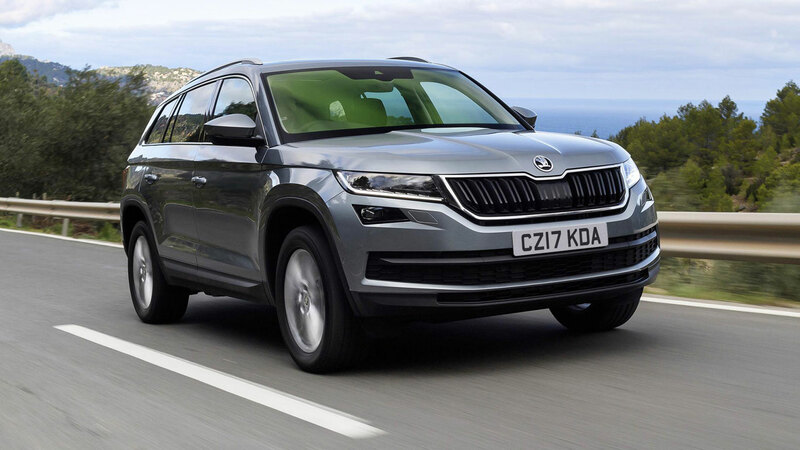 The new, seven-seat Skoda Kodiaq starts from £21,495. This is just one reason why we expect it to be a big year for the Kodiaq, which has been named the best large SUV by the What Car? judges. In What Car? award-winning spec, the Kodiaq is a bargain £28,245, which is excellent value for a four-wheel-drive, seven-seat SUV. 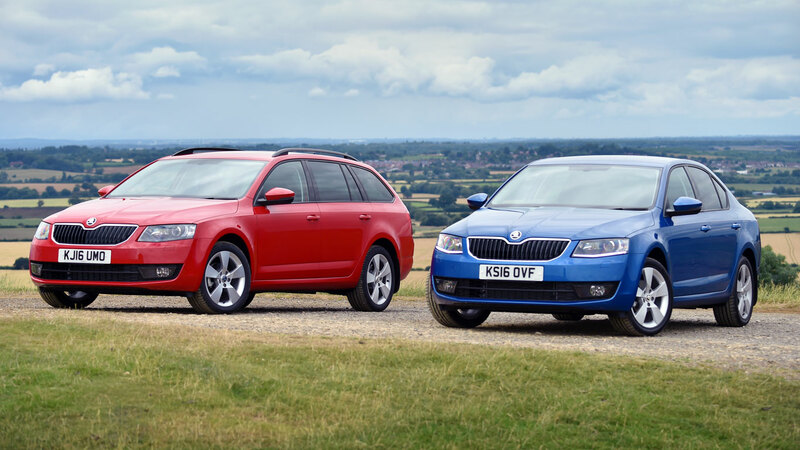 Form an orderly queue outside your local Skoda dealer. In summarising the Audi Q7, What Car? 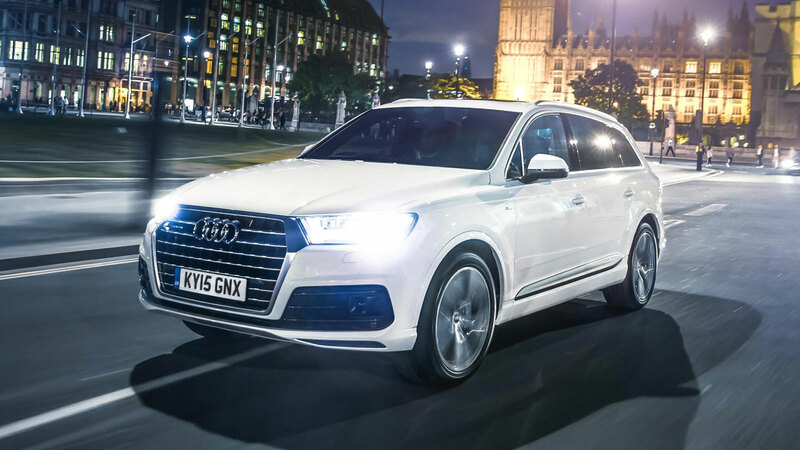 said: “The Audi Q7 has a relaxing blend of performance and refinement. 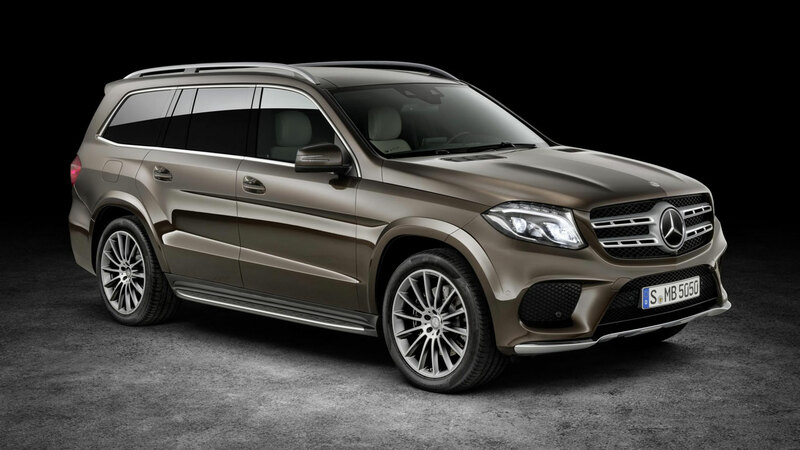 It’s also beautifully built, practical and well equipped.” Little wonder it’s named as the best luxury SUV. 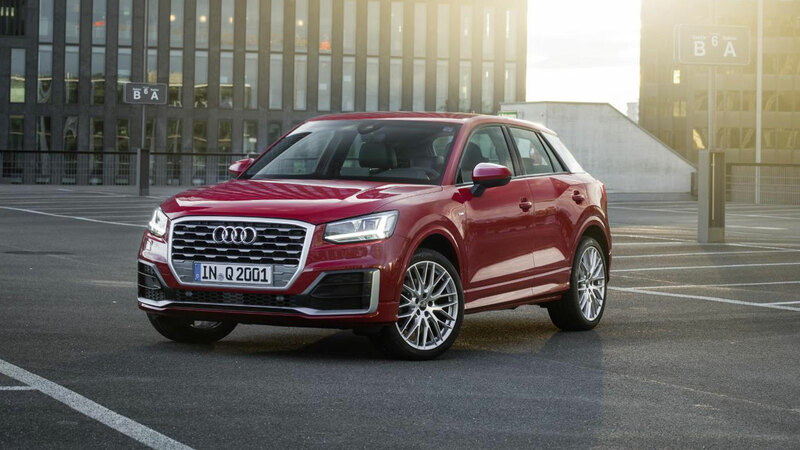 Highlights include a smooth and powerful engine, a quality cabin and seven-seat practicality, but the Q7 was marked down for its high price. You’ll need to find at least £48,455 to own a new one. 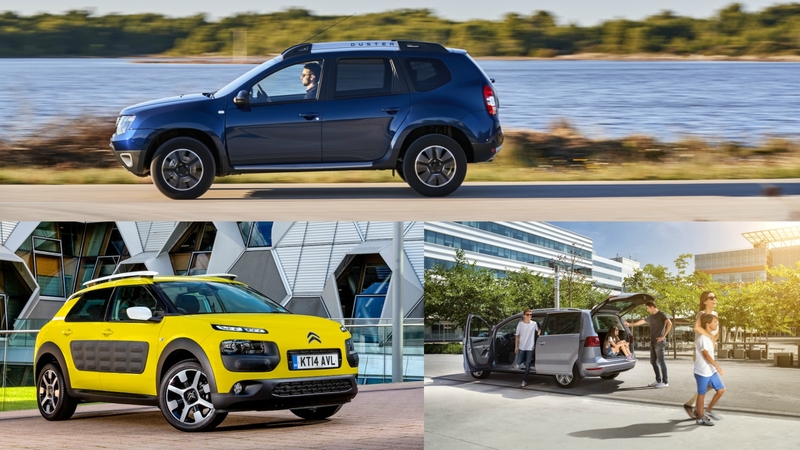 It’s hard to get excited about the MPV category, but these cars still serve a purpose, even in a world obsessed with crossovers and SUVs. 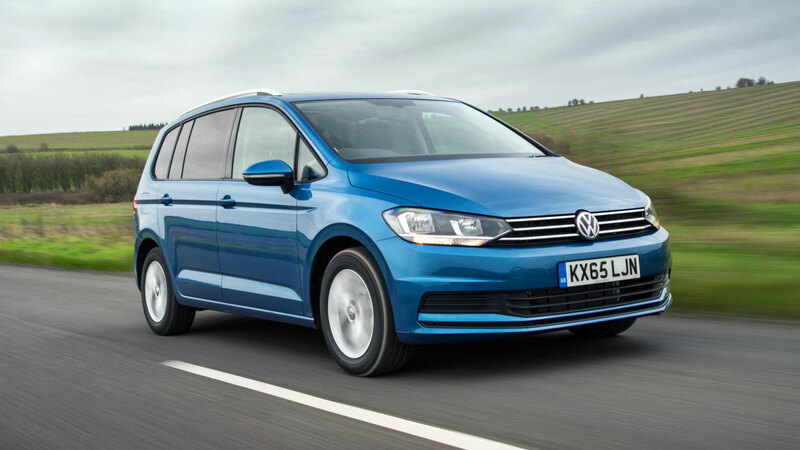 Before you drift off, let us tell you that the Volkswagen Touran is named the best MPV by What Car? magazine. 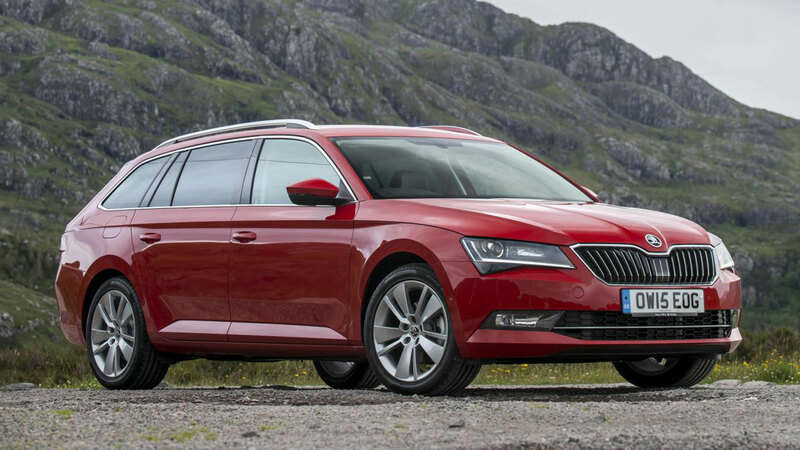 A victory for common sense here, with the Skoda Superb winning the award for the best estate car. It does everything required of a good wagon, not least an ability to haul a tremendous amount of luggage. The boot expands from 660 litres to a maximum of 1,950 litres with the seats down. It’s also exceptional value for money, with prices ranging from £21,065 to £35,300 for the quite bonkers SportLine 280PS 4×4. The What Car? judges prefer the more sober 2.0 TDI 50 SE Technology. Changes to the rates of road tax will mean that electric cars are more attractive than ever, with only cars emitting zero emissions qualifying being tax-exempt. As one of the more affordable EVs on the market, the Renault Zoe is well placed to take advantage of the changes. 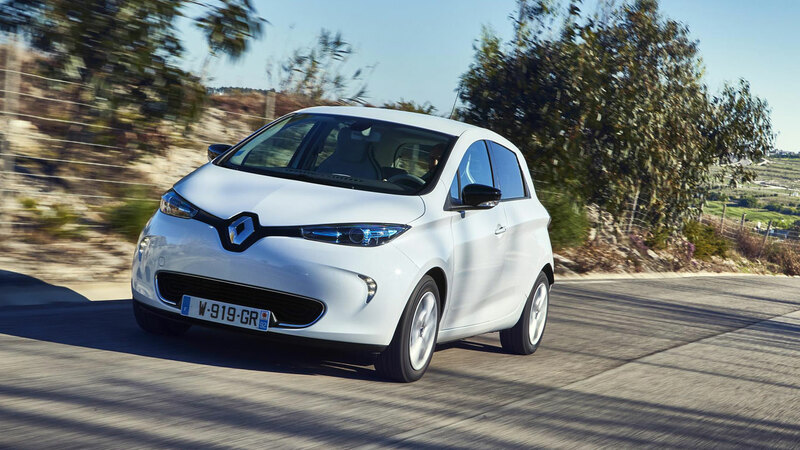 In November 2015, Renault launched a new Zoe Q90 model, capable of travelling up to 250 miles between charges. However, the estimated ‘real life’ range is 186 miles in the summer and 124 miles in the winter. Zoe range prices start from £13,995 for the Expression model, with mandatory battery hire of £59 per month. 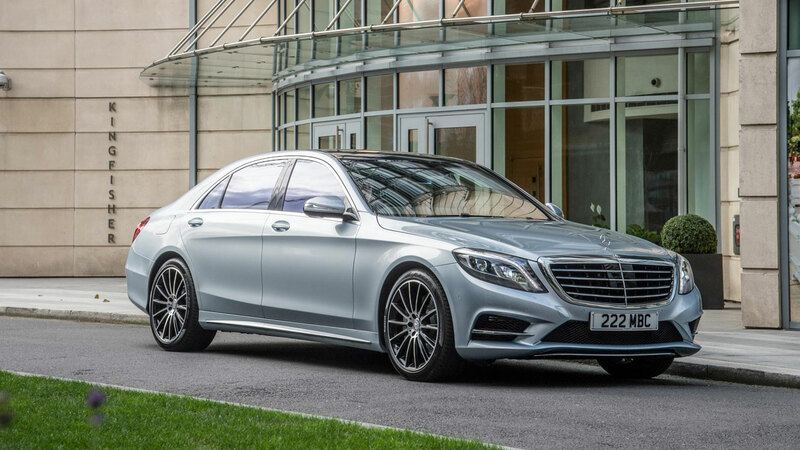 Last year’s overall winner has to make do with the best executive car award in 2017. 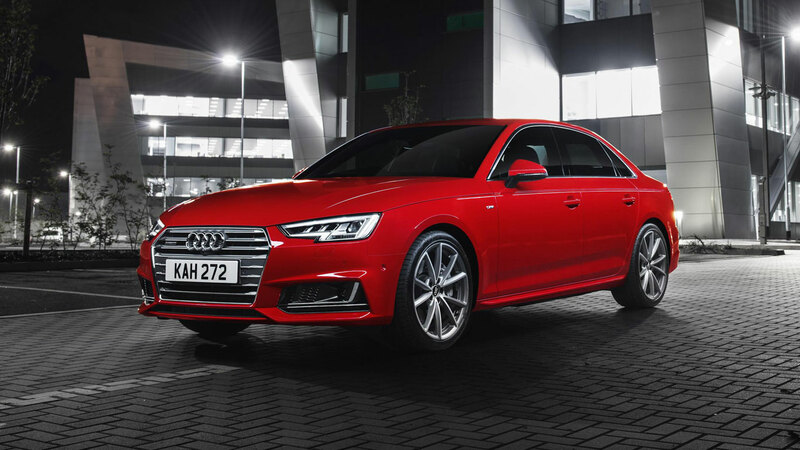 Not that Audi should feel too disappointed, as it means the A4 stays ahead of the BMW 3 Series, Mercedes-Benz C-Class and Jaguar XE. Highlights include a near-perfect interior and, in the case of the award-winning spec, a powerful and efficient 3.0-litre V6 TDI engine. 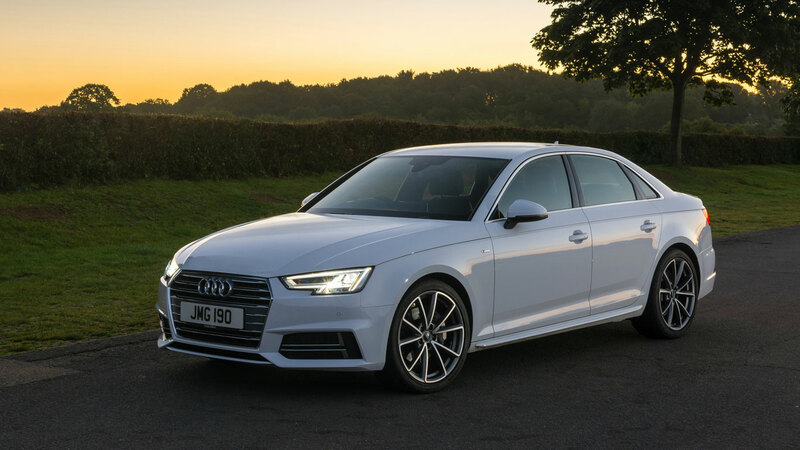 Curiously, while the 3 Series and C-Class appeared on the list of best-selling cars in 2016, the A4 failed to make an appearance. Strange. 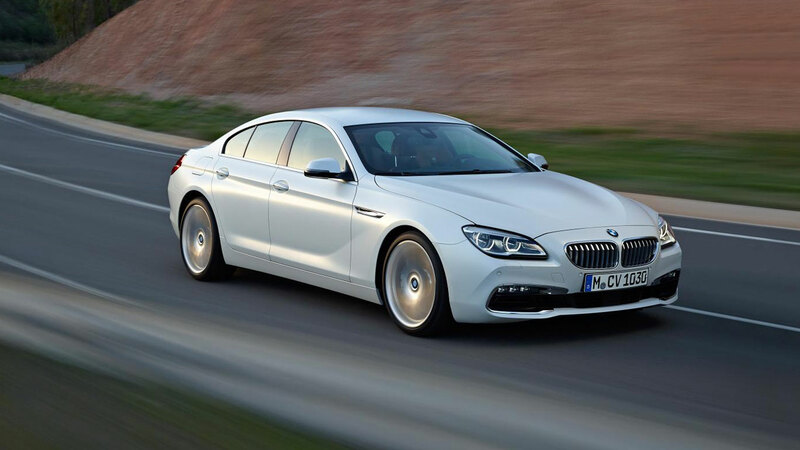 To the casual observer, BMW has played it safe with the new 5 Series. 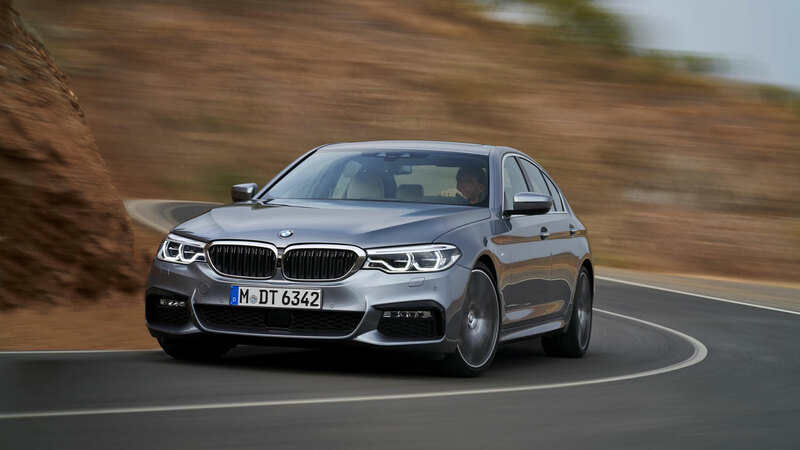 However, this large saloon packs plenty of advanced technology under the skin. 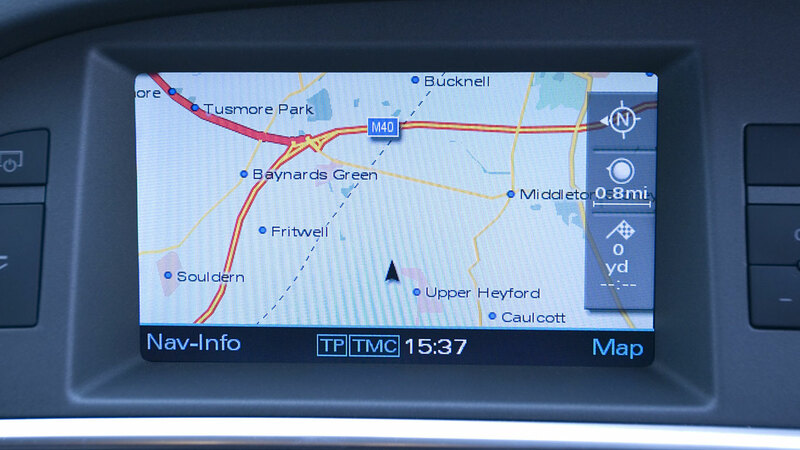 Widescreen sat nav with Real Time Traffic Information is standard, for example, and BMW Connected Music allows access to 40 million songs via either Deezer or Napster. The 520d suggested by What Car? is the current fuel economy champ: 65.6mpg is 2.8mpg better than before. 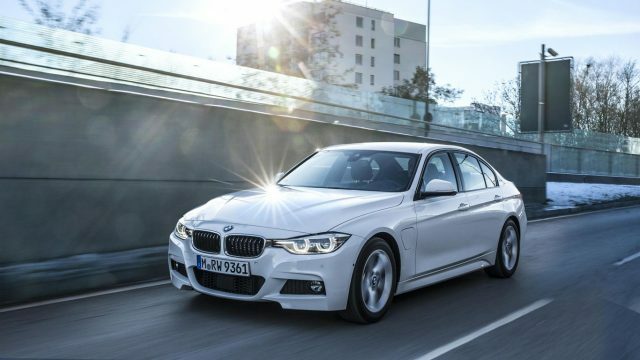 A low-CO2 520d EfficientDynamics is on the way, too, promising an incredible 72.4mpg and 102g/km. That’s called having your cake and eating it. 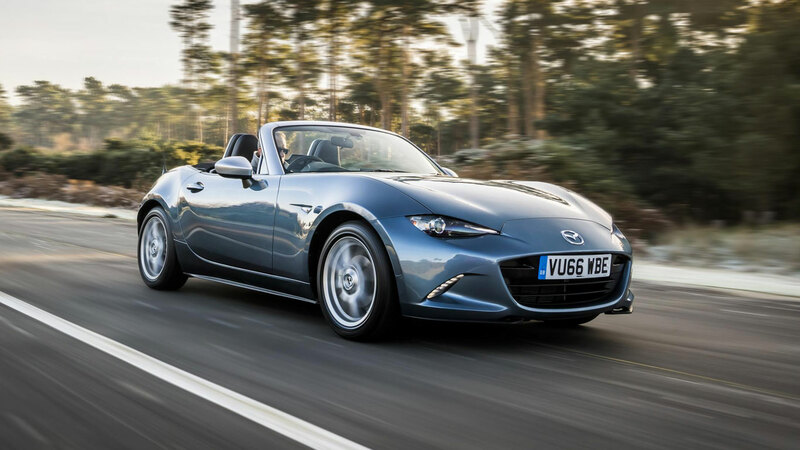 The winning MX-5 has the more powerful 2.0-litre engine, which means 0-62mph in 7.3 seconds – a second faster than the 1.5 version. Generous SE-L Nav spec is recommended, including a seven-inch screen for the media system and climate control air-con. Objectivity be damned, part of the function of a coupe is to look good, and the curvaceous Audi TT certainly meets that brief. If anything, it looks even better from the inside, with one of the nicest and best-built cabins on the planet. Again, What Car? gives the nod to one of VW Group’s excellent TFSI petrol engines. 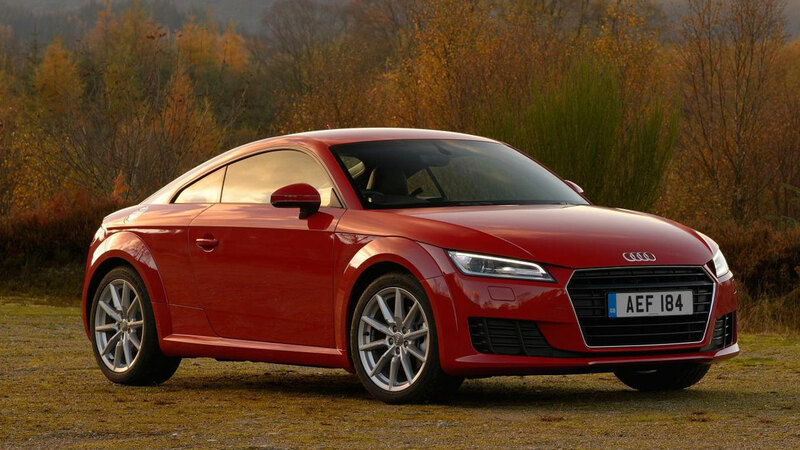 The TT isn’t an out-and-out sports car, so the 180hp 1.8 suits it well. Equally, entry-level Sport spec offers all the equipment you need. 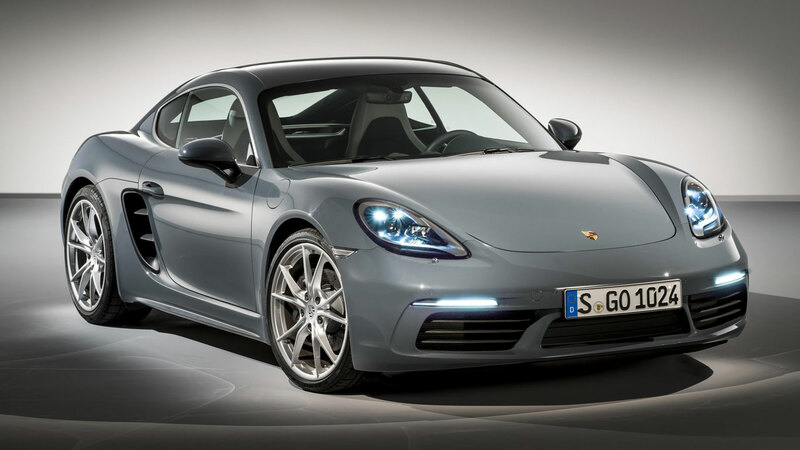 OK, the four-cylinder engine in the new 718 Cayman doesn’t sound as good as the old flat-six. 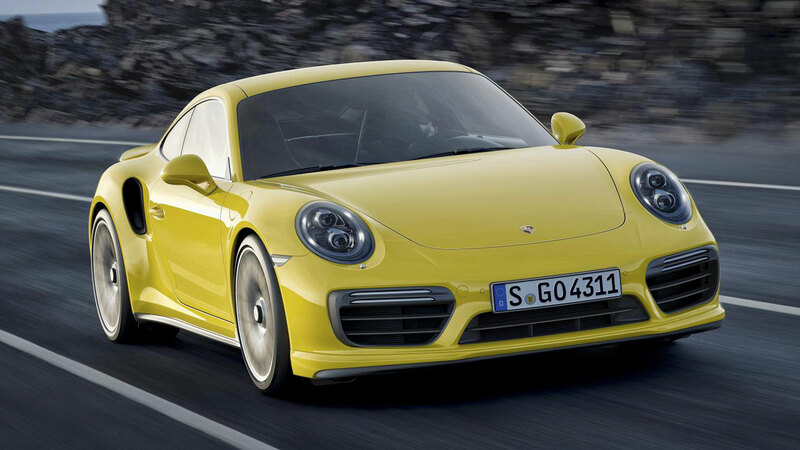 However, the new-found turbocharged punch offers ample compensation. 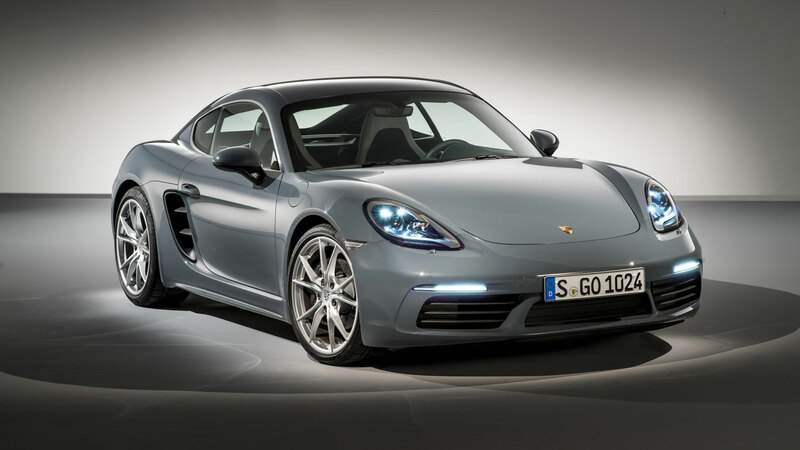 And the Cayman continues to leave most rivals standing when it comes to chassis dynamics. 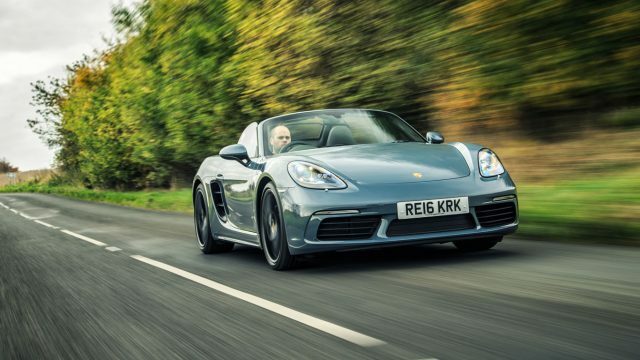 Indeed, the entry-level Cayman is really all the sports car you need – as acknowledged by the What Car? Team. Better than a 911? Certainly better value, yes. What Car? 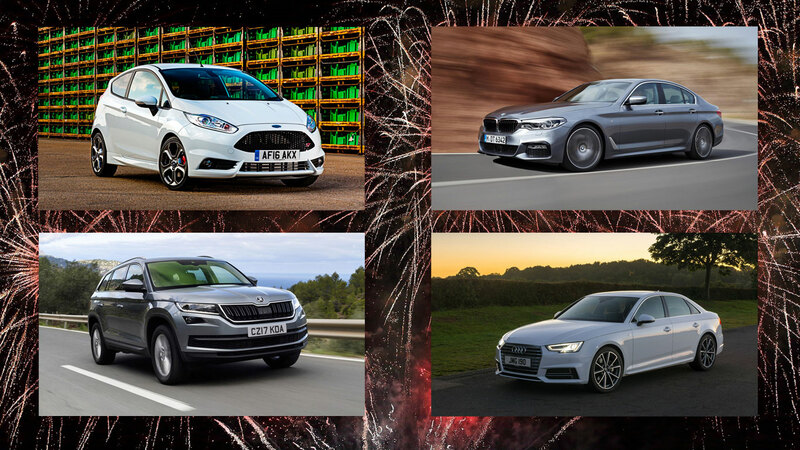 Readers were asked to vote on the most exciting car due to launch in 2017. 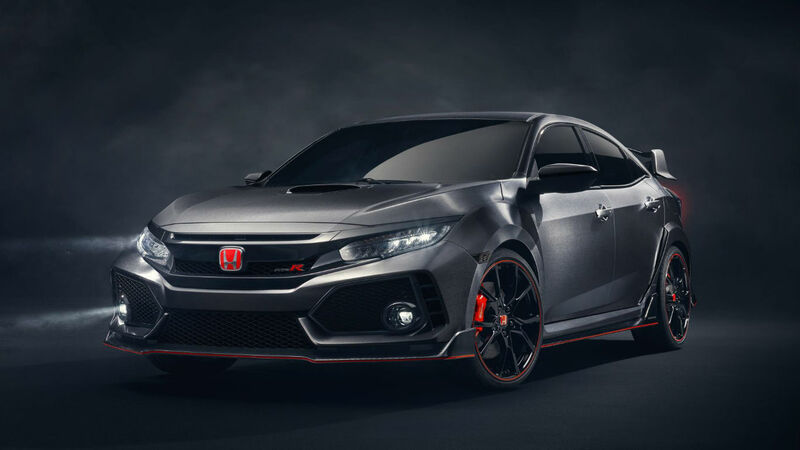 The wild-looking new Honda Civic Type R was the winner, beating the electric Jaguar I-Pace SUV into second place. The Lexus LC 500 coupe was third. 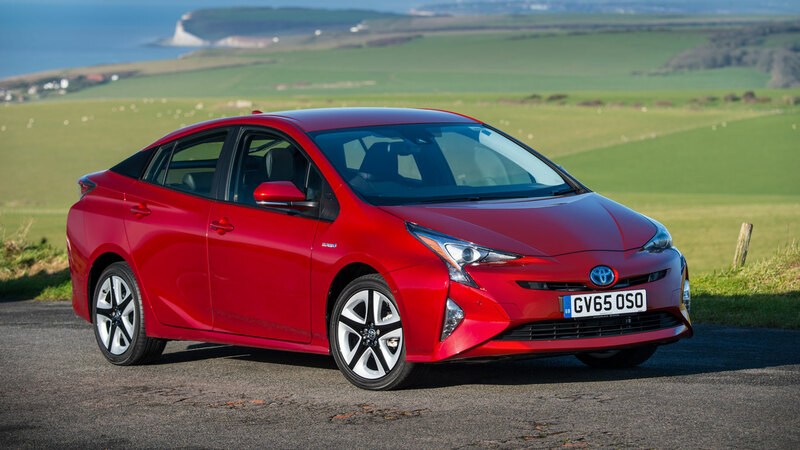 The Toyota Prius isn’t just a green car, it’s a safe one too. 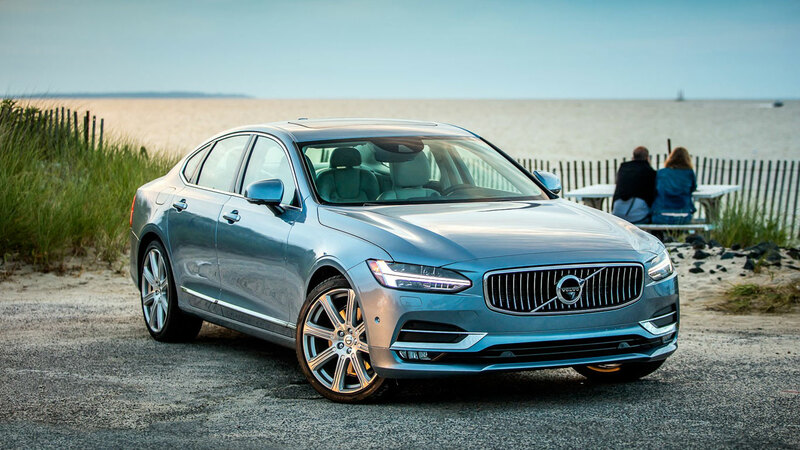 The latest 2016 model earned five stars in Euro NCAP crash tests, with an outstanding 92% for adult occupant safety. 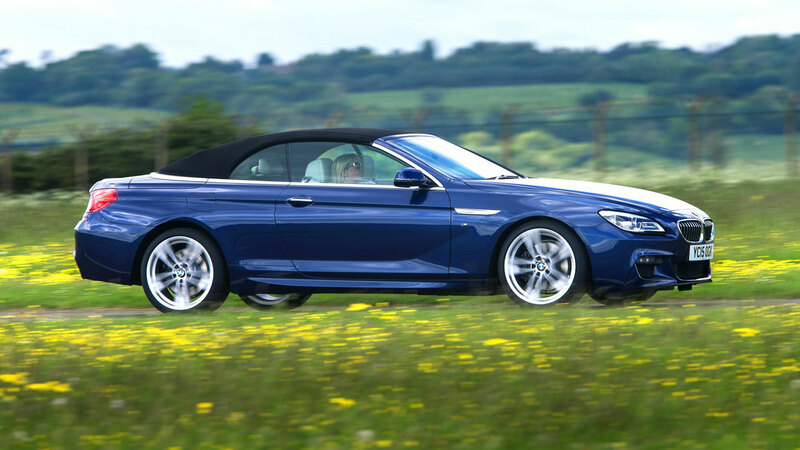 It also scored 85% for ‘safety assist’, boosted by standard automatic emergency braking. 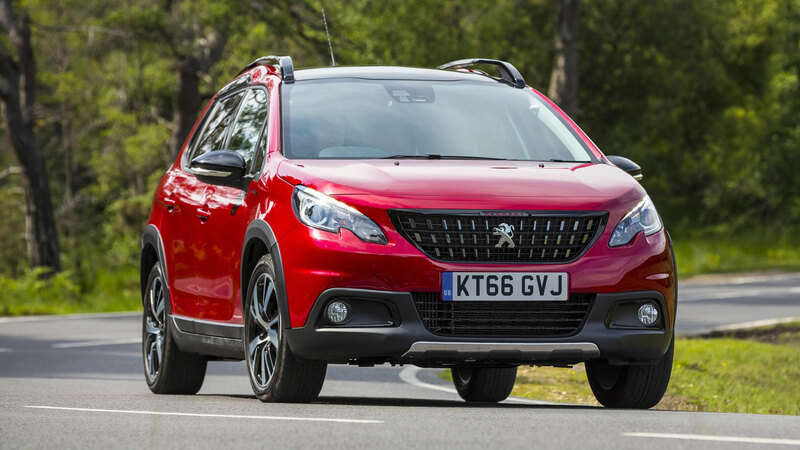 The Peugeot 3008 was second in the Safety category, with the Volkswagen Tiguan third. 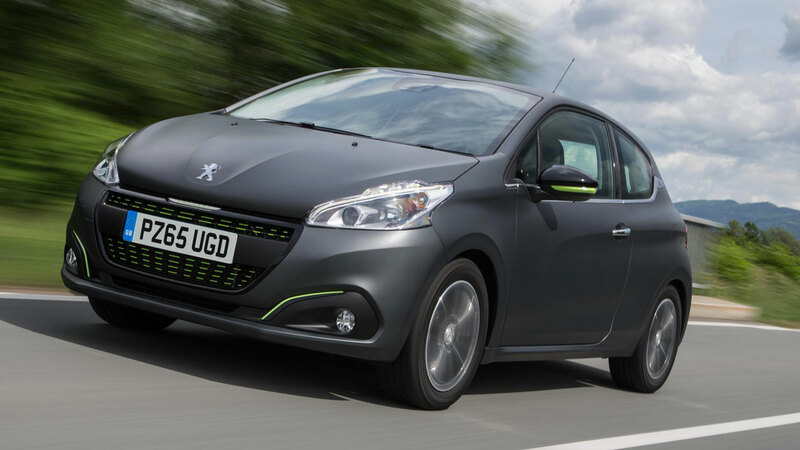 Not everyone is a fan of Peugeot’s trademark small steering wheel, but What Car? judges clearly are. 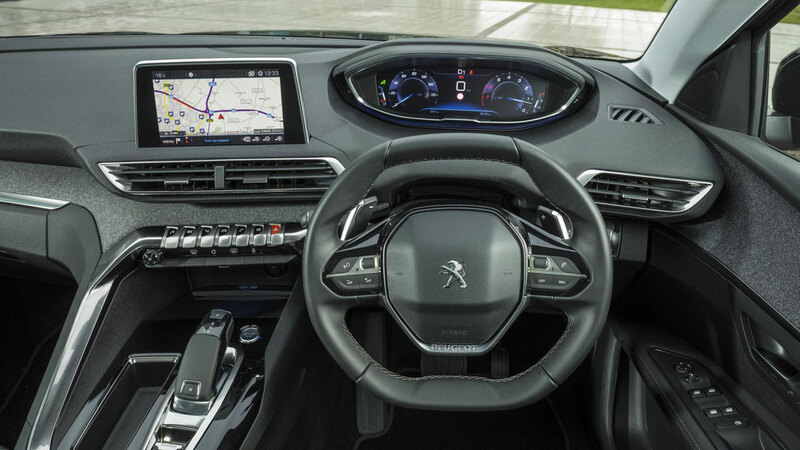 The 3008 also offers a high-tech digital dial display as standard, which should make Audi owners who’ve just paid for the ‘Virtual Cockpit’ think twice. Runner-up in the category was the Renault Zoe electric car, while the Audi SQ7’s advanced 48-volt electrical system earned it third place. So, here it is: the overall winner of What Car? Car of the Year 2017. 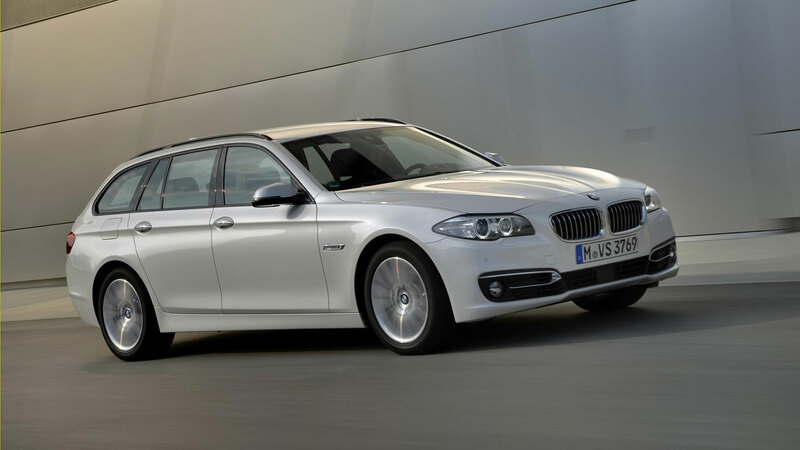 Having already taken victory in the Luxury Car class, the BMW 520d SE was judged the best new car of the past 12 months. It’s been a vintage year for new car launches, but 2017 promises to be even better. We set ourselves the unenviable challenging of selecting the 40 cars we’re most looking forward to driving come the new year. Buckle up, because it’s quite a list. 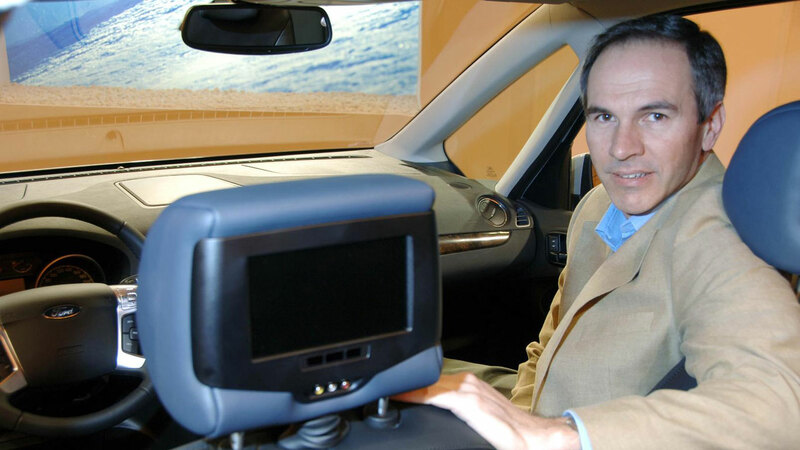 A new SUV is to a carmaker what a defibrillator is to a dying person. As such, there’s a great deal resting on the shoulders of the first SUV to wear the Alfa Romeo badge. “OMG, an SUV from Italy, 500hp, princess, red dress, hell yes,” says the promotional video for the Stelvio. 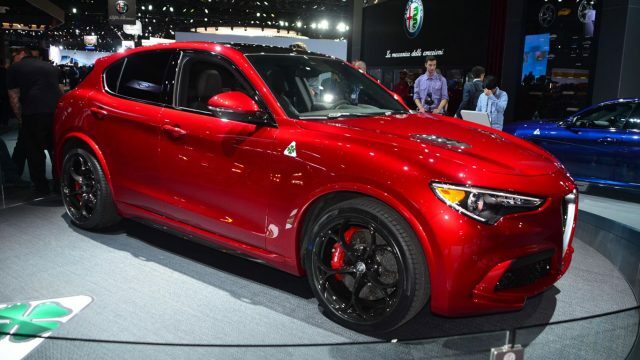 The Quadrifoglio model, pictured at the LA Auto Show, will be the range flagship and will be powered by a Ferrari-derived 2.9-litre V6 engine producing some 505hp. Combined with 443lb ft of torque, this range-topper could single-handedly pull Alfa Romeo out of the doldrums. If you like the look of the Vision Concept, pictured here, we bring good news: the production version is likely to stay faithful to the concept car. 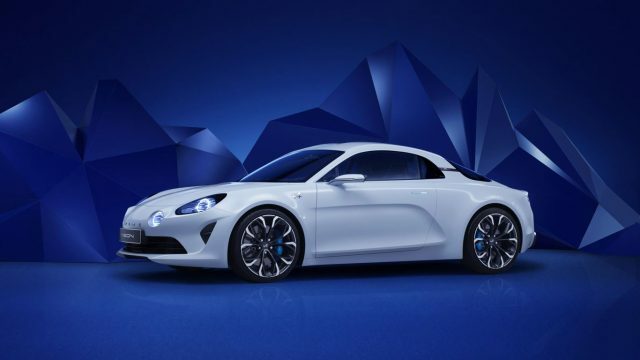 We understand the Alpine – likely to be called the A120 – will cost upwards of £50,000 when it goes on sale in the summer. Still want that Porsche Boxster? 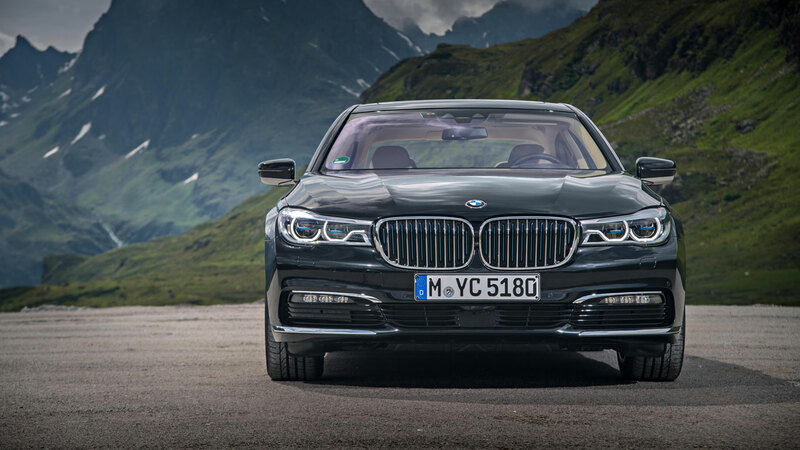 Looking every inch the scaled down BMW 7 Series, the new 5 Series will be the most advanced 5 ever when it arrives in February. 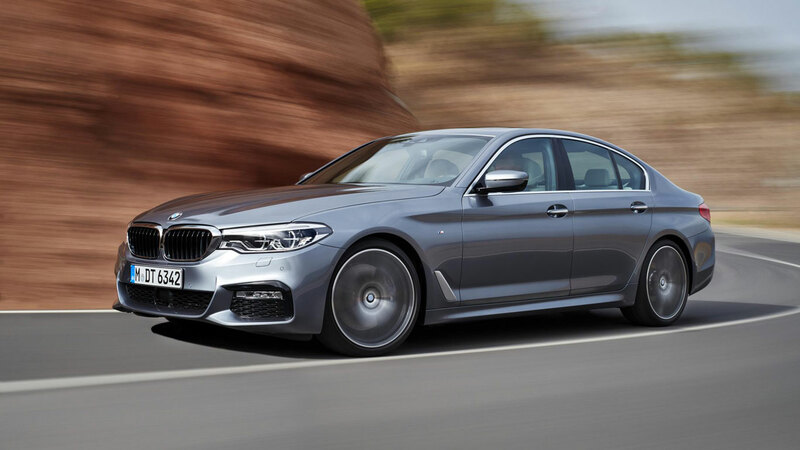 Expect the usual wide range of engine and trim options – including a high-performance M5 – along with an ability to partly drive itself. 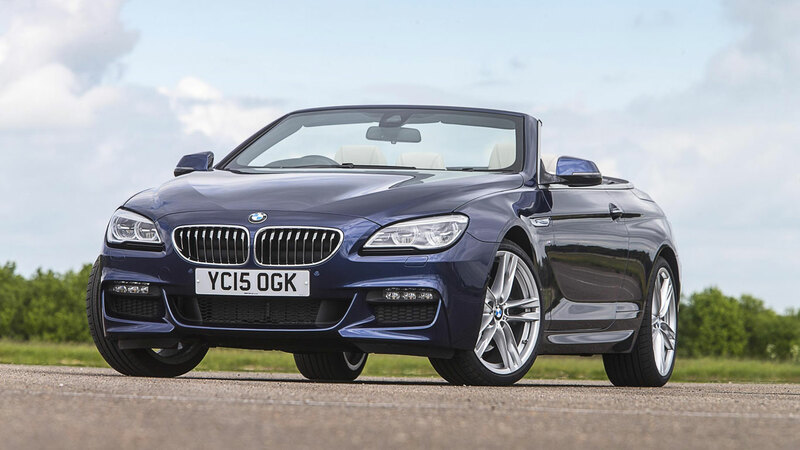 As BMW’s most profitable car, this is a hugely significant launch for the firm. Back in July, we attended the UK unveiling of the Bristol Bullet at Coworth Park, near Ascot. 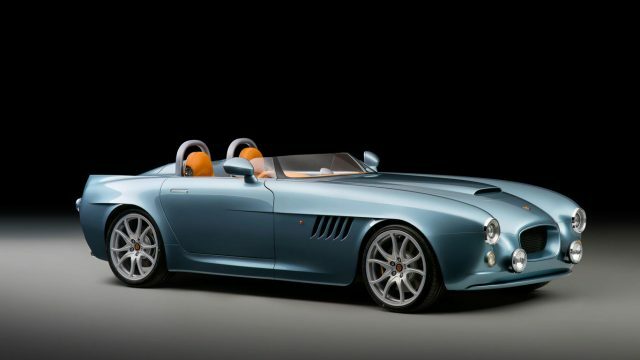 We had a very brief passenger ride in the £250,000 speedster, of which a total of 70 units will be made. The first cars are likely to reach customers in January 2017, marking 70 years since the first Bristol left the factory. 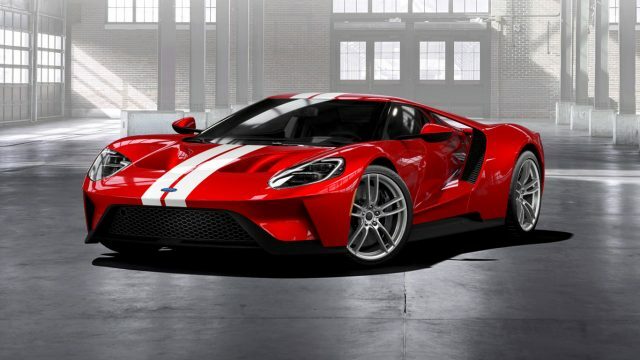 Ford will build 250 GTs a year for the next four years, but good luck getting your hands on one if you weren’t one of the chosen few selected to take delivery of the first batch. 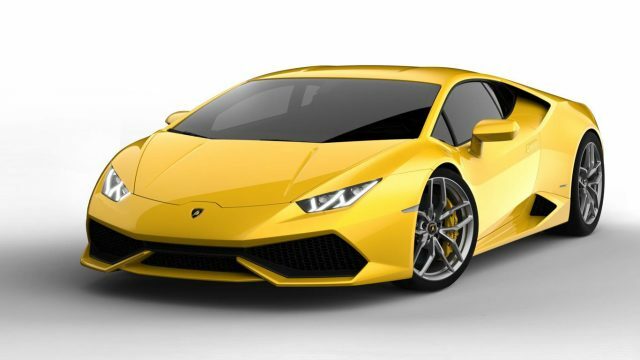 Precise details are thin on the ground, but we do know the GT will be powered by a 3.5-litre V6 engine and you can expect it to reach speeds in excess of 200mph. 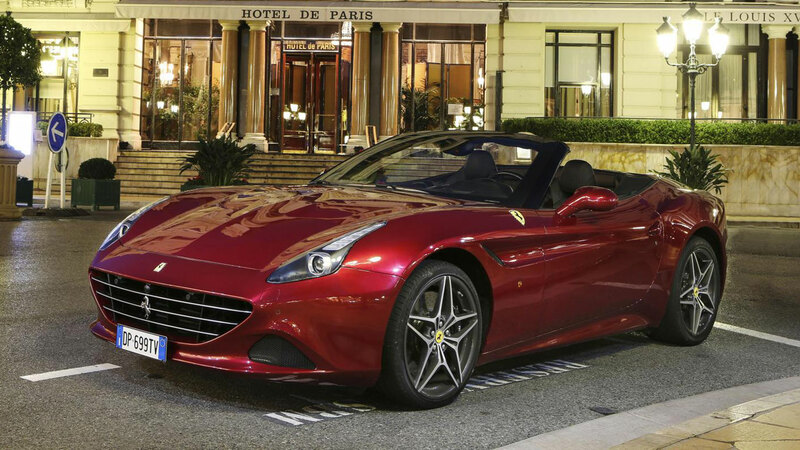 As for the price: bank on something in the region of £400,000. 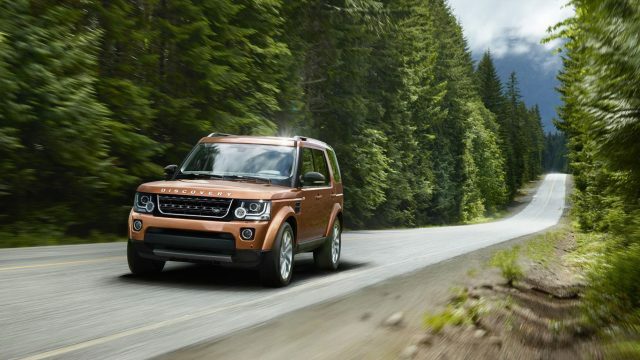 As we prepare this feature, our man is in Scotland, putting the new Land Rover Discovery through its paces. You won’t have long to wait to get your hands on the fifth-generation Disco, with deliveries expected to commence in the spring. 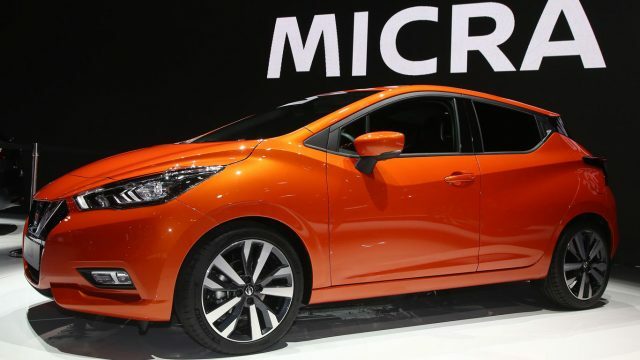 Wait, are we really looking forward to driving a new Nissan Micra? Ah, but this is the all-new, sharper Micra. No longer the preserve of driving schools and folk who like to stick to a steady 42mph, regardless of the speed limit or conditions, the new Micra promises to be a cracker. Prices start from £11,995 and you can pre-order your Micra in mid-December. 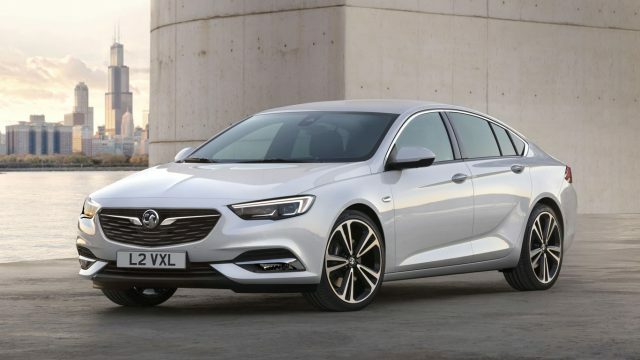 Do not adjust your set, this really is the new Vauxhall Insignia. The Insignia Grand Sport – to give it its full and slightly pompous name – will receive its world premiere at the 2017 Geneva Motor Show, before appearing in a office car park near you before the end of the year. We’re looking forward to driving this one. The Mercedes-Benz E-Class All Terrain won’t have everything its own way in 2017, not least because the Volvo V90 Cross Country will arrive before this winter is out. 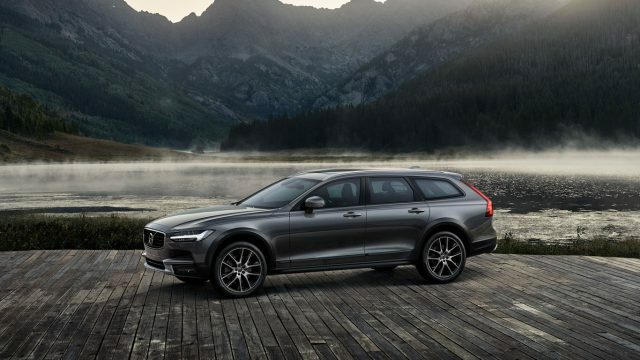 As you’d expect, the Cross Country is like a standard V90, only with an increased ride height and a chassis optimised for comfort and control in all weathers. It’s been a vintage year for new cars, highlighted by the fact that we’ve awarded a maximum five-star rating to no fewer than 17 new cars. 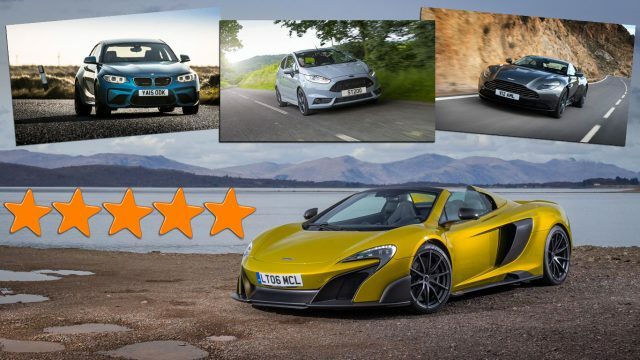 With this in mind, we figured it was time to assemble our favourite new motors from 2016, summarised using a quote from the review posted on the Motoring Research website. Initials: RA (Richard Aucock), TP (Tim Pitt), AB (Andrew Brady), PB (Peter Burgess), GBS (Gavin Braithwaite-Smith). 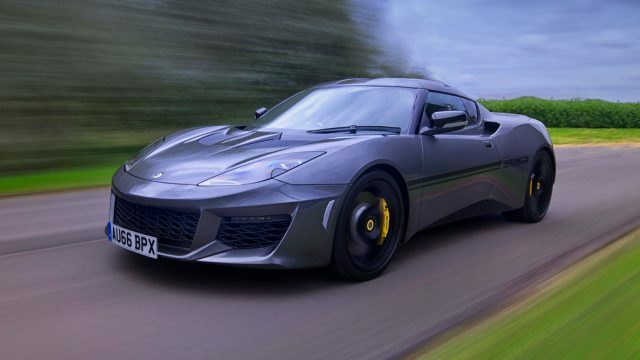 “At such a huge chunk of money for a car without a radio as standard, only the most serious of enthusiasts will be able to justify a Lotus Evora 410. If you’re after a daily driver, or a car for cross-continent road trips, the lesser Evora 400 or a rival (ahem, Porsche) will be a wiser bet. “The new 718 Boxster is, without question, superior to the model it replaces. It’s faster, better balanced and more economical. 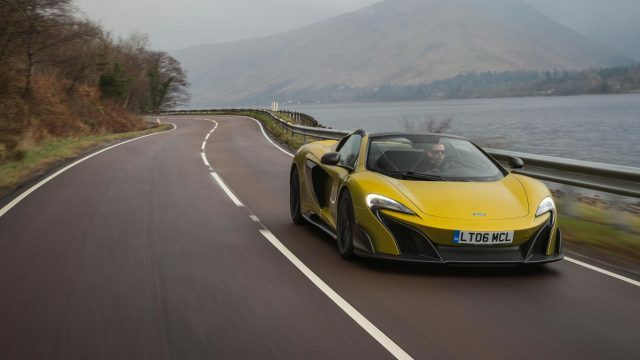 Cutting to the chase, we think it’s still the finest roadster on sale – and a five-star car. 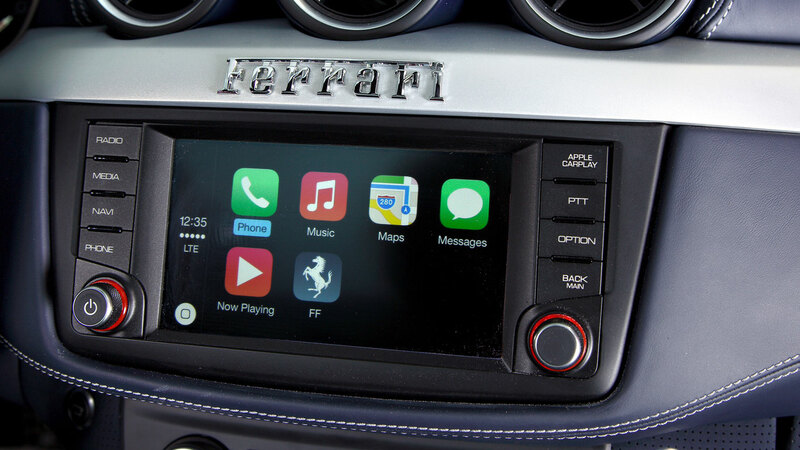 Thinking of splashing out on a new car to enjoy the latest tech – think again. We’ve put together a list of retrofit gadgets that will turn your existing motor into a technological powerhouse, making you the envy of all your mates. Stick with us as we teach your old car some new tricks. We’ve been using a Garmin DriveSmart 50, which is about as thin as a tablet and available in three different sizes: 5-inch, 6-inch and 7-inch. 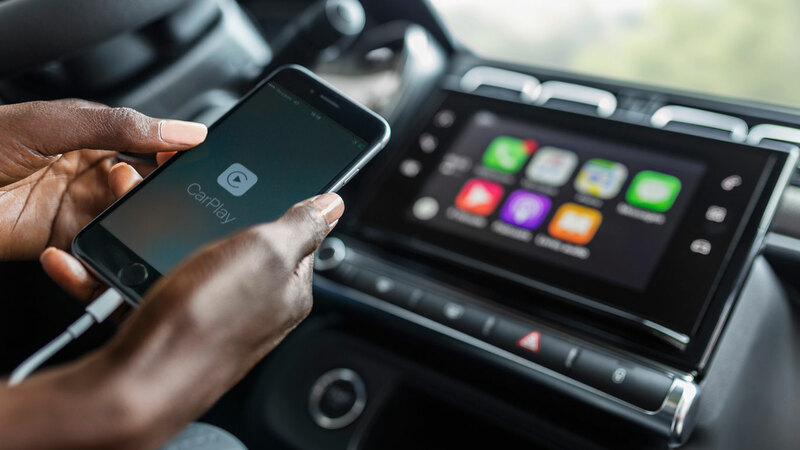 In entry-level 5-inch guise, it’s a bit on the small side compared to modern infotainment systems, but as it’s Bluetooth enabled, you can ask for directions via voice command. It also features driver alerts, such as the whereabouts of speed cameras, dangerous corners and animal crossing points. You need not worry about upgrades and the sat nav becoming obsolete, because you get a lifetime of free map and traffic avoidance updates. At the time of writing, the Garmin DriveSmart 50 5-inch is available for the reduced price of £143.99, although there are many other sat navs available. This is one in-car gadget that might put you ahead of your friends and neighbours – an in-car coffee machine. The Handpresso Auto is the self-proclaimed ‘espresso machine for the car’, and it does exactly what it says on the box. Plug it into your car’s 12v socket, fill it with cold water, add an Easy Serving Espresso (ESE) pod and – two minutes later – a fresh espresso is served. 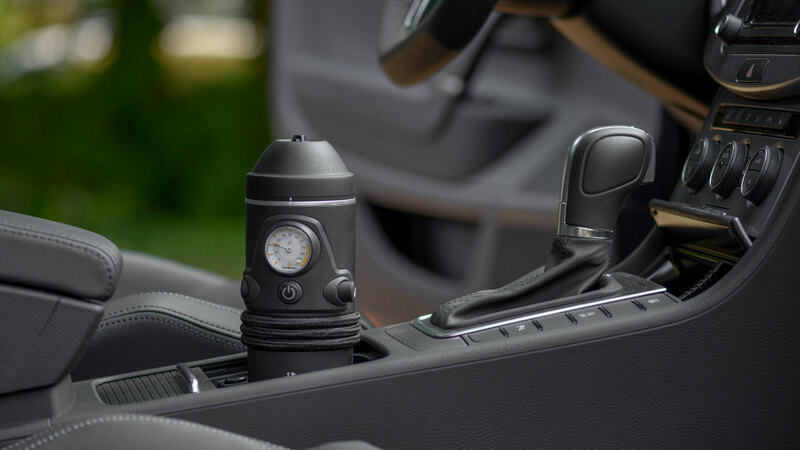 The Handpresso Auto is designed to fit most cupholders and it could save you a fortune on takeaway coffees. The Handpresso Auto will set you back £133, which is the equivalent of 80 or so takeaway espressos, and while you do need to factor in the cost of ESE pods, it is possible to use your favourite ground coffee. If you spend much of your time on the road, and too much money in coffee shops, this could be classed as a must-have accessory. 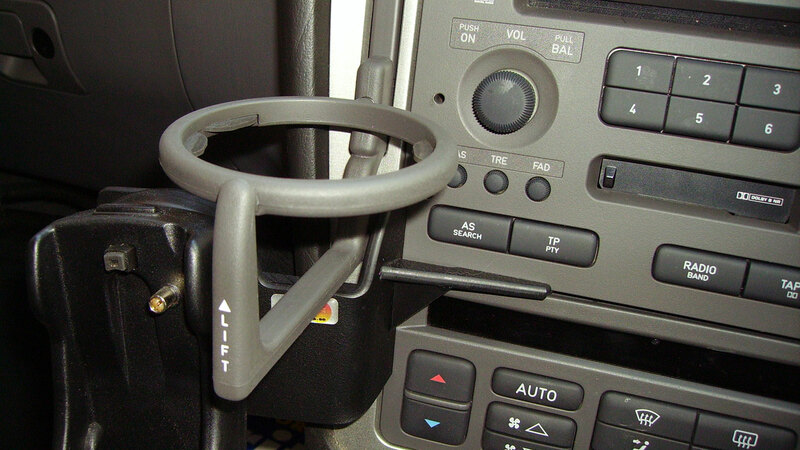 Until relatively recently, a car cupholder wasn’t a thing. Climb aboard a car from the 80s or 90s and you might be disappointed to find nowhere to put your energy drink. But don’t worry, because help is at hand in the form of an aftermarket cupholder, which you can buy for not much more than the price of an overpriced takeaway coffee. Sadly, it won’t be as cool as the cupholder in a Saab 9-5 (pictured). Under new rules likely to come in next year, motorists will receive six points on their licence and a £200 fine if they’re caught using a mobile phone at the wheel. 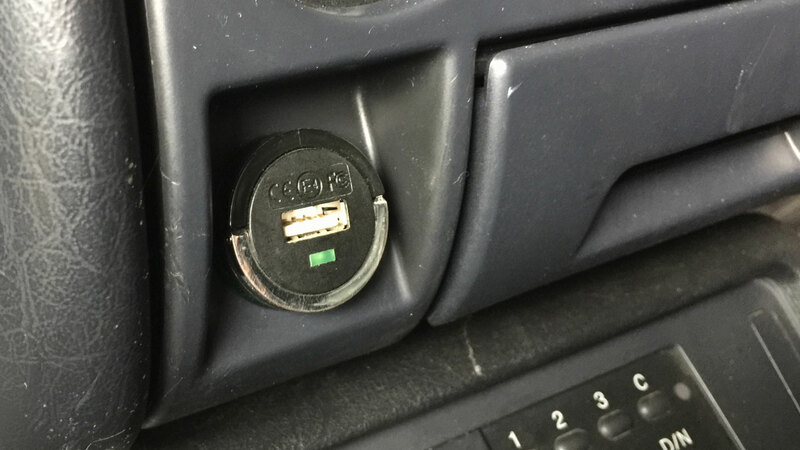 While many new cars are fitted with Bluetooth connectivity, an older car will need upgrading if you want to make and receive calls on the move. A Parrot Minikit Neo 2 HD costs less than £80 and features HD sound quality, plus an ability to switch between two phones. The digital radio switchover could happen as soon as 2017, meaning traditional FM/AM receivers will be about as useful as a chocolate fireguard. 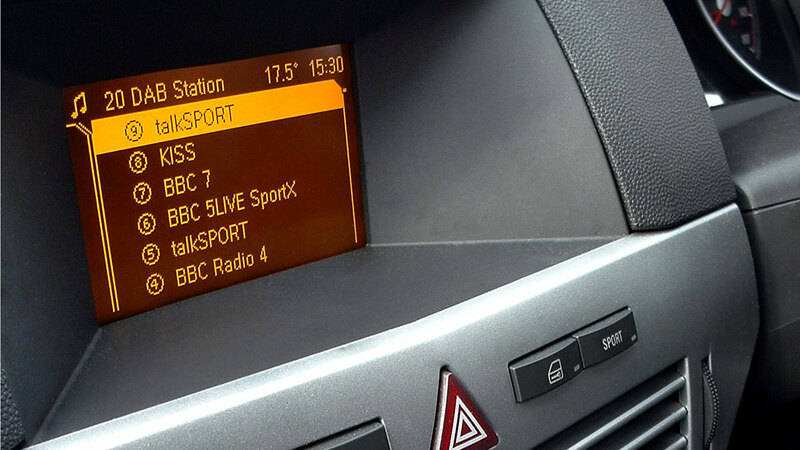 Not a problem if you own one of the 90% of new cars fitted with a DAB digital radio, but not so good if you’re making do with an old head unit. There are many options available if you fancy listening to DAB radio in an old car, including adapters and entirely new systems. Some companies will even retrofit a DAB system to an old unit, which will appeal to classic car owners who favour originality. 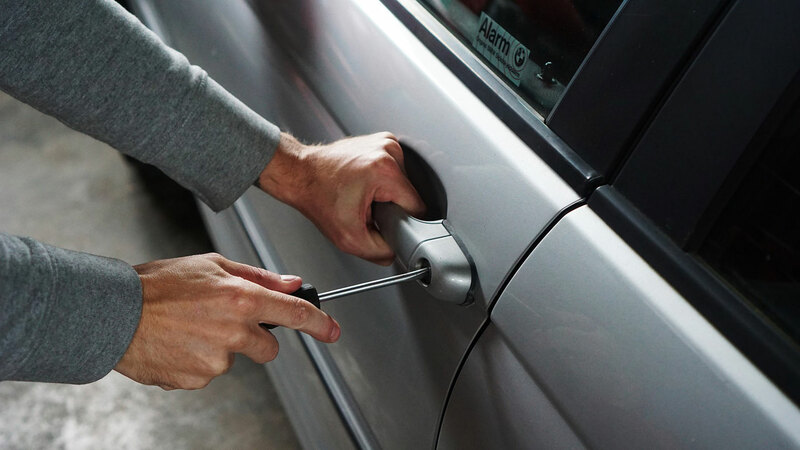 Adding an alarm and immobiliser will not only secure your car, it might save you money on your car insurance. Some systems also offer options such as remote central locking and automatic window/sunroof closure, adding additional convenience. Once upon a time, a cigarette lighter – or cigar lighter, if your car was a bit posh – was a sign that you’d splashed out on a higher trim level. You can make use of what might otherwise be a dormant socket by converting it into a USB charger. For just a few pounds you can charge one, two, three or even four accessories on the move. New life for the cigarette lighter! 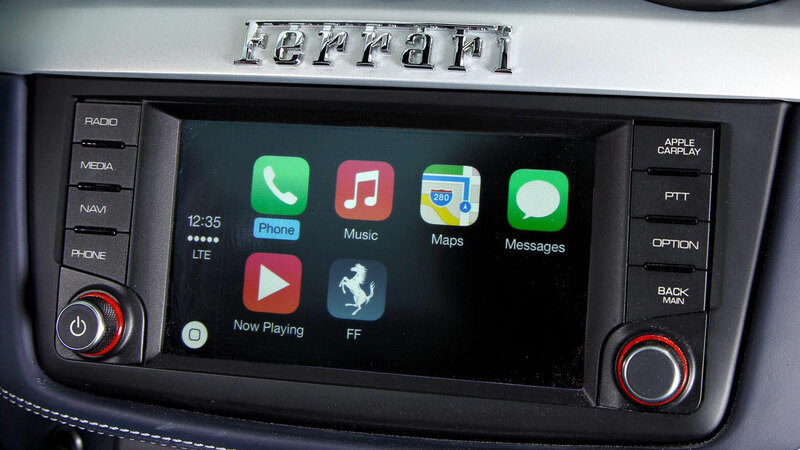 These days, Apple CarPlay is available on everything from a Suzuki Baleno to a Ferrari GTC4Lusso, but don’t feel that you have to buy new in order to enjoy the joys of seamless iPhone connectivity. The Pioneer SPH-DA120 offers a 6.2-inch touchscreen, GPS, Bluetooth and Apple CarPlay – simply plug in and play. It’s available from Halfords for £329. General Motors was the first carmaker to introduce a head-up display (HUD), with a system debuting on the 1988 Oldsmobile Cutlass Supreme. Once the preserve of premium motors, HUD has filtered down to more humble vehicles, while it’s also possible to retro-fit a system to just about any car. 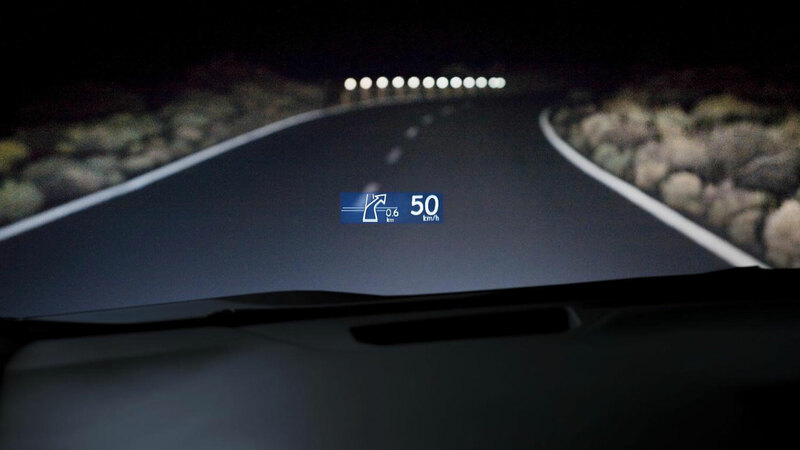 The Garmin Head-Up Display receives navigation information from your smartphone and projects it onto a transparent film on the car’s windscreen. It’s compatible with the Navigon and Streetpilot apps. Compared to new cars, many older vehicles may as well be running with candles perched on the edge of the front wings. 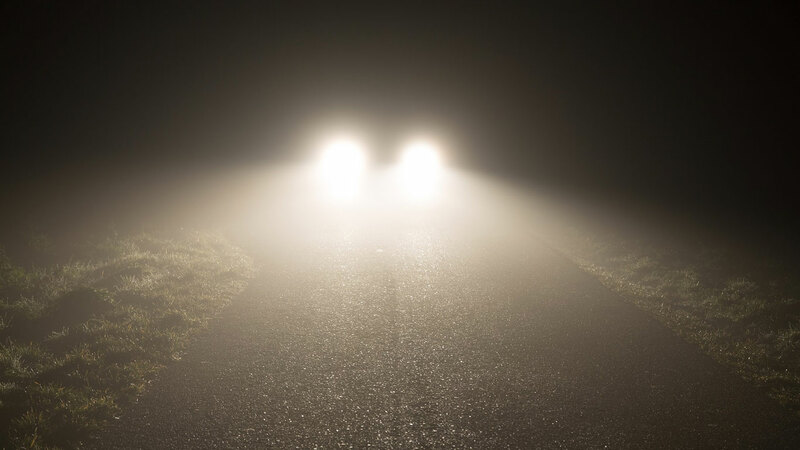 Upgrading the headlight bulbs is a cost-effective way of improving visibility and staying safe. For example, a pair of Philips X-treme Vision bulbs will provide up to 130% more light, with a 45m longer beam, while a pair of Osram Night Breakers will add 110% and 35m respectively. Bank on paying between £20 and £30. The AA recommends you check your tyre pressures every couple of weeks, but how many of us remember to do so? 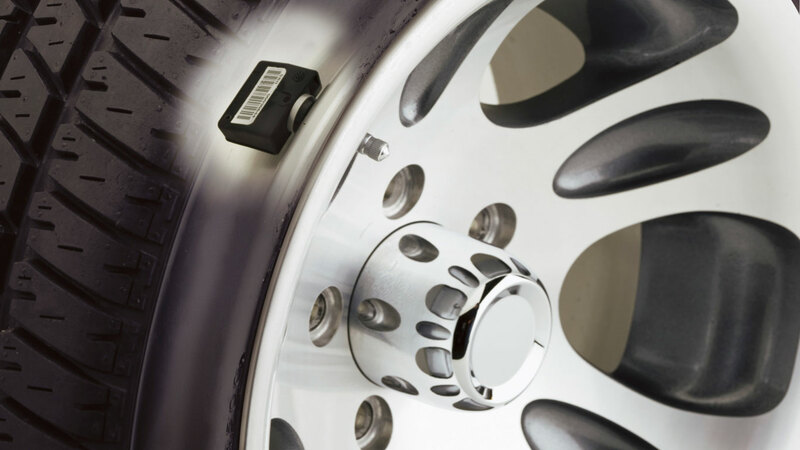 Maplin offers a Bluetooth tyre pressure monitoring system, similar to that used in new cars. It monitors real time tyre pressure and temperature, and comes with an app for automatic monitoring and instant alerts. Yours for £149.99. 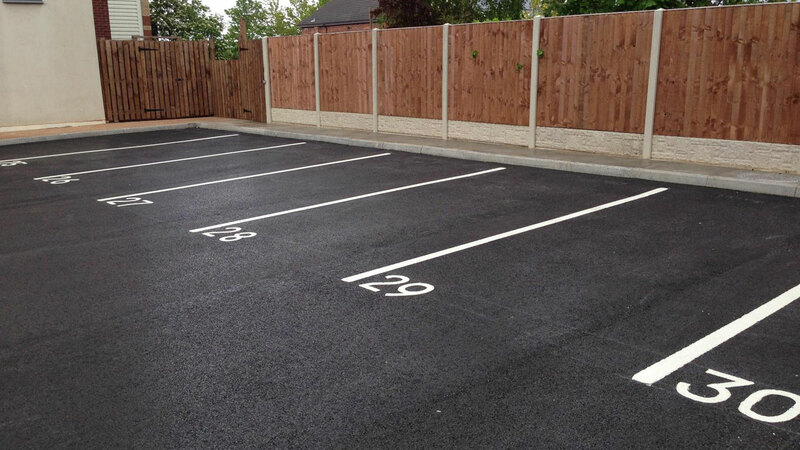 If you’re one of the many motorists who don’t enjoy parking, help is at hand from as little as £10. This might seem like a small price to pay for an aftermarket reversing sensor, but the reviews appear to stack up. The only problem – you’ll have to fit it yourself, although the reviewers endorse the claim that the system is “easy to install”. Worth a look? 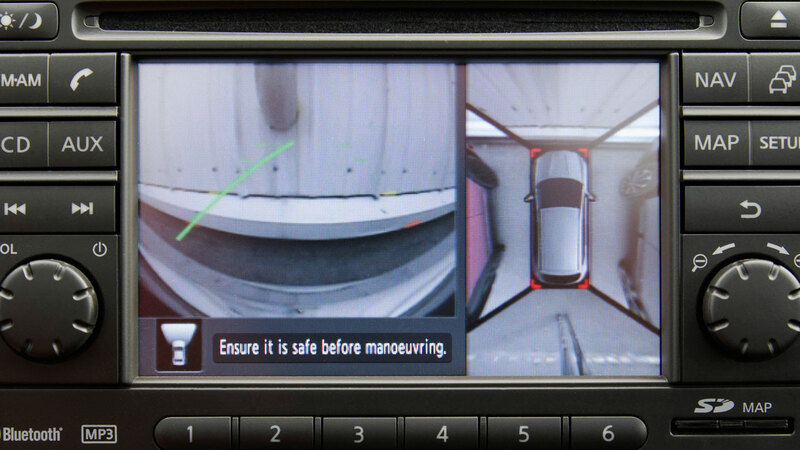 Alternatively, you can watch where you’re going with an aftermarket reversing camera. We found one on the Maplin website, complete with 3.5-inch colour monitor and automatic switching when reverse gear is engaged. It costs £84.99, but at the time of writing this price has been reduced to £64.99. 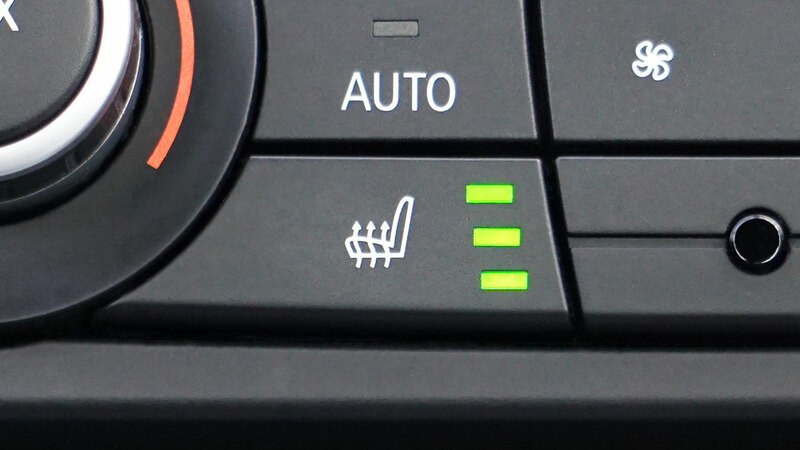 If you like the comfort of a warm bottom on a winter’s morning, you’ll be pleased to know it’s possible to retro-fit heated seats to the front seats of most vehicles. Heating elements are placed between the upholstery and the seat cover, without altering the shape or look of the seat. Why not go the whole hog and add lumbar support? If you run your sat nav via a smartphone or modern system, the chances are you already enjoy the benefits of real-time traffic monitoring. If not, it’s worth considering Waze, which claims to be ‘the world’s largest community-based traffic and navigation app’. Using insight from other motorists, Waze suggests the fastest and most optimal route possible to any destination. Best of all, it’s free! This is one example of where an older car can stay ahead of the game. Rear-seat entertainment systems are fine, but technology moves on at such a rate, they’re soon outdated and outmoded. Besides, consumers want portability, so why not install a seat-back tablet mount – so you can take your entertainment with you? We found one for as little as £10. 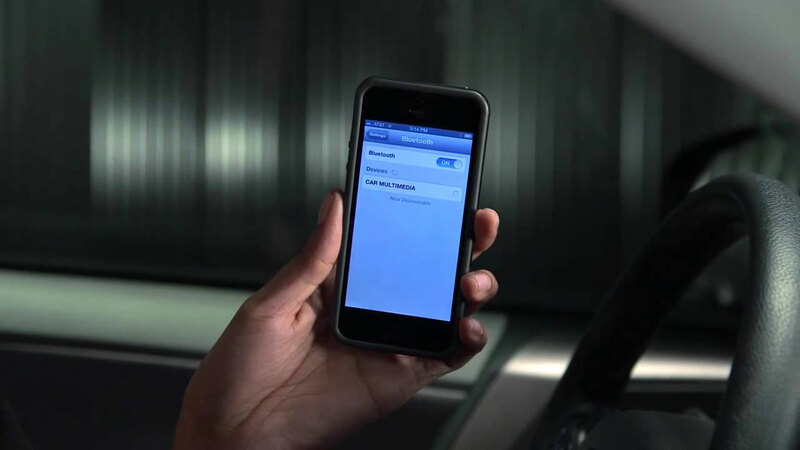 Turn your car into a wi-fi hotspot to provide your passengers with internet access while on the move. EE offers a 4G wi-fi, allowing users to check newsfeeds, stream music, play online games or post social updates commenting on your poor driving skills. The system supports up to 10 wi-fi-enabled devices at once, and there are various tariffs available. 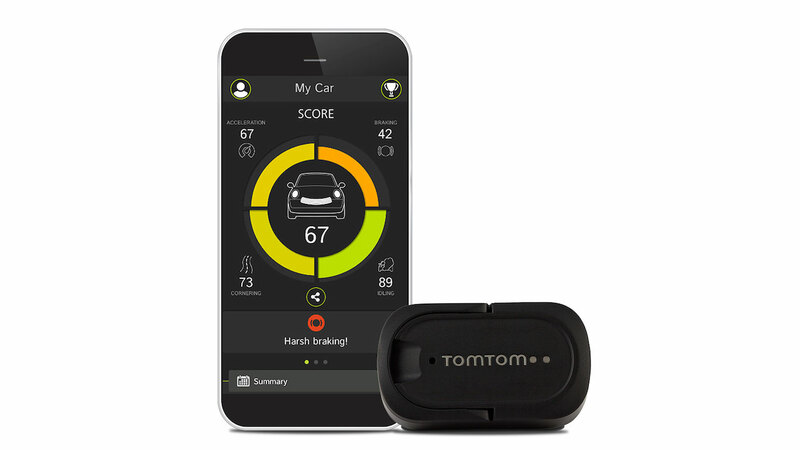 If your car was registered after 2004, you should be able to fit a TomTom Curfer. By plugging into your car’s OBD port, the Curfer links to your smartphone to provide feedback on your driving technique and your car’s performance. Curfer scores acceleration, cornering, braking and idling in real-time, along with detailed data on your car’s battery voltage, oil temperature and engine load. It’s geek heaven for £59. Combine all of the above and we reckon you could turn your old motor into a techno powerhouse for around £1,500. Considering the Dacia Sandero Access – Britain’s cheapest new car – costs £5,995, and that doesn’t even have a radio, we think that represents excellent value for money. 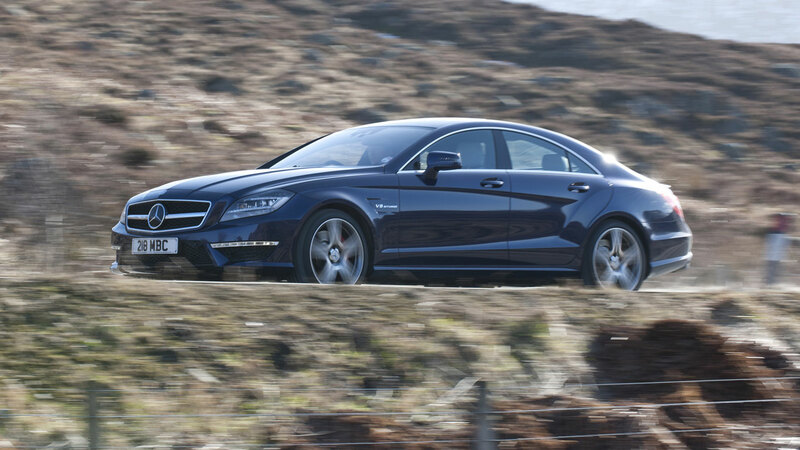 Alternatively, nip out and spend a shed load of cash on a BMW 7 Series or Mercedes-Benz S-Class.